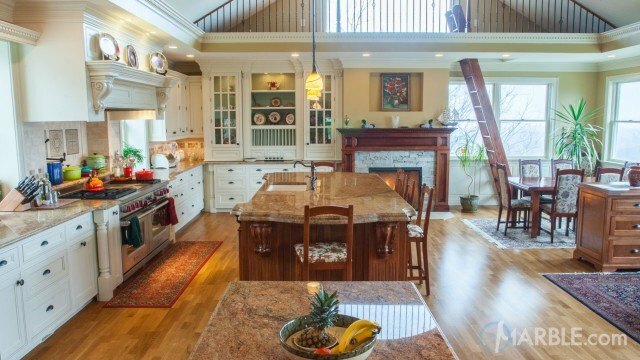 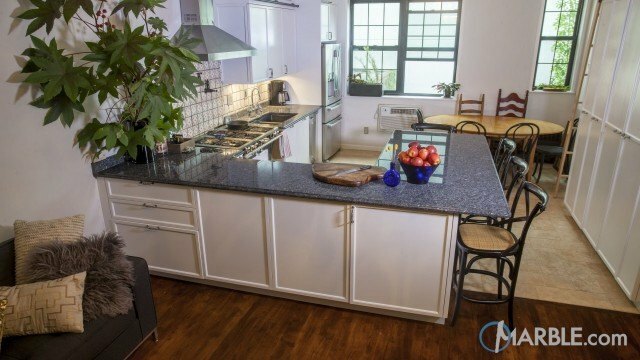 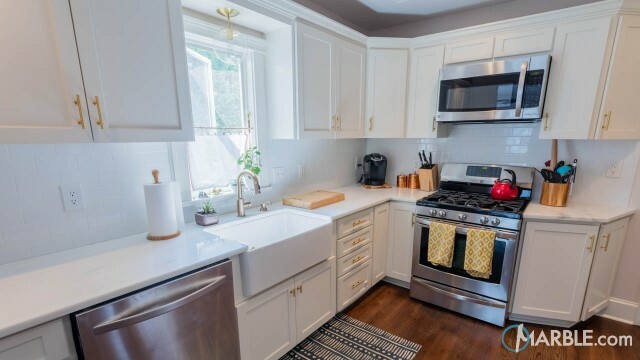 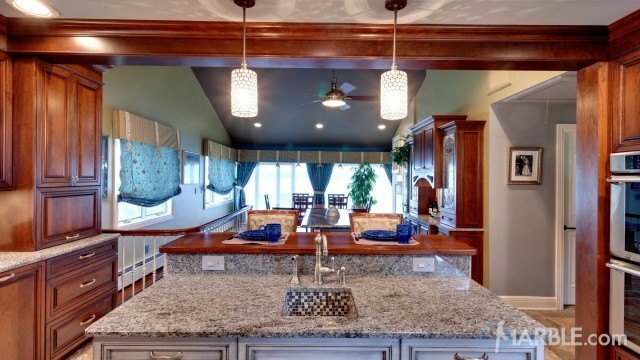 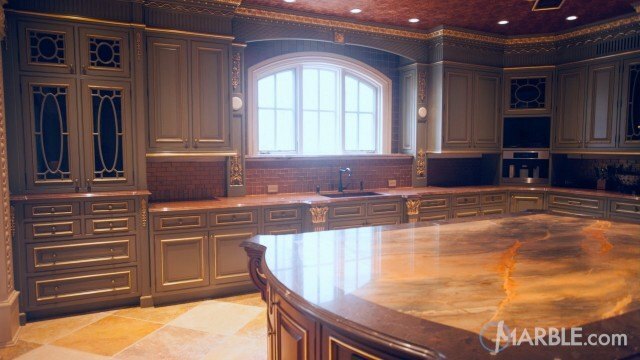 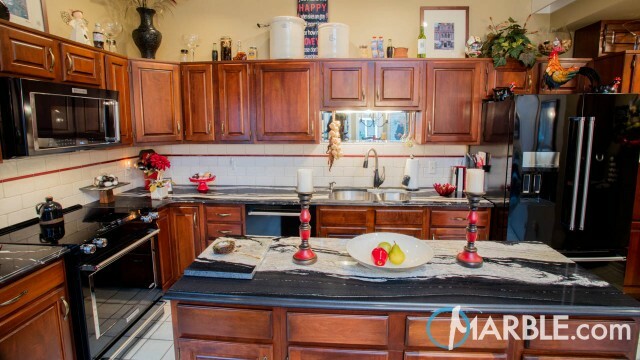 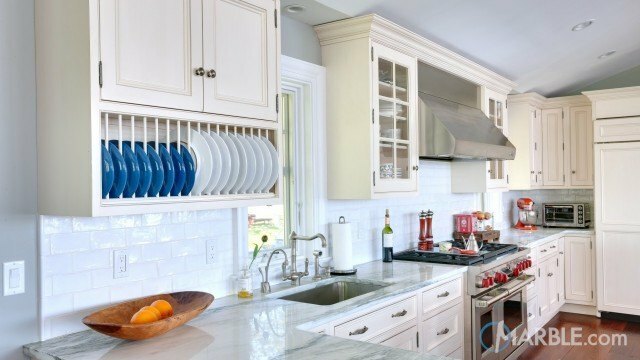 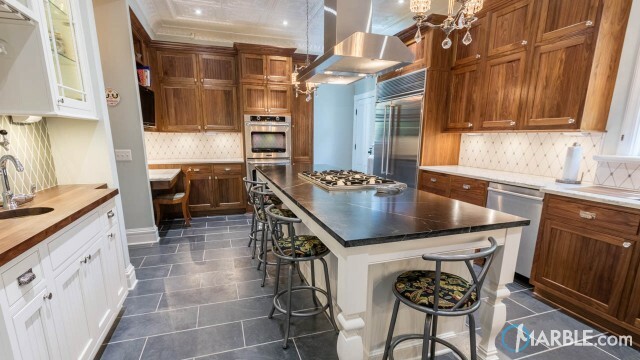 This funky kitchen is a cook’s dream. 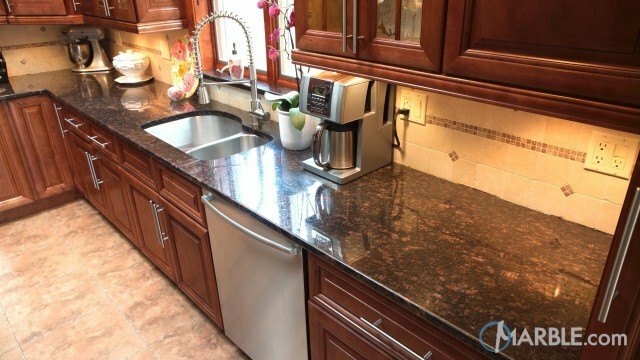 It is small enough to get around easily and the red accents make it fun. 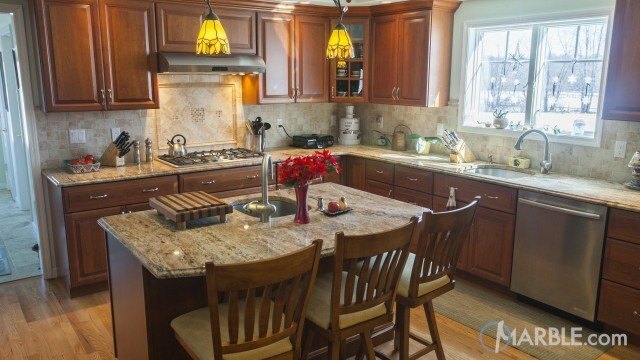 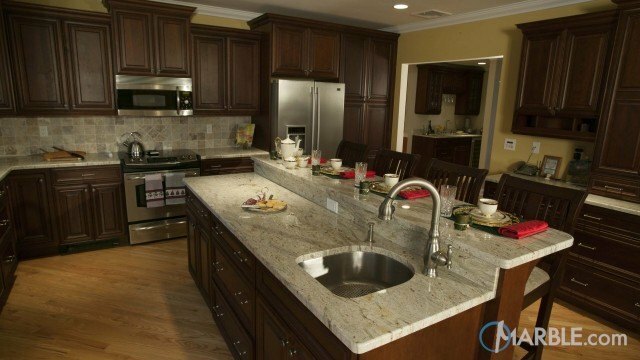 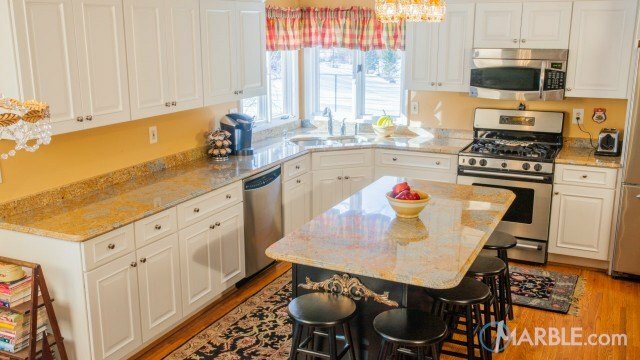 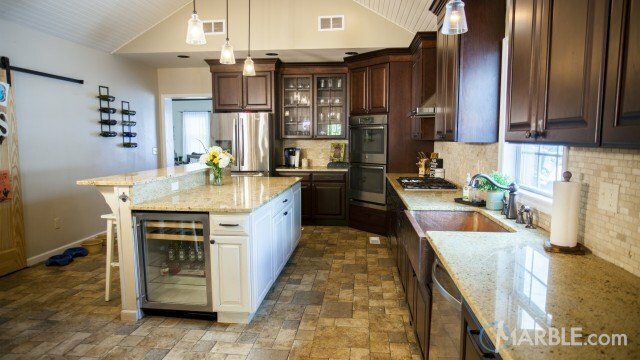 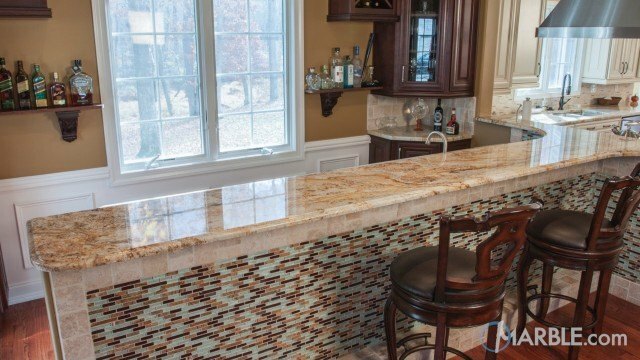 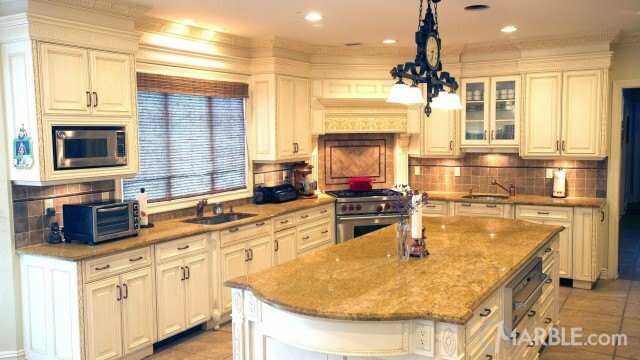 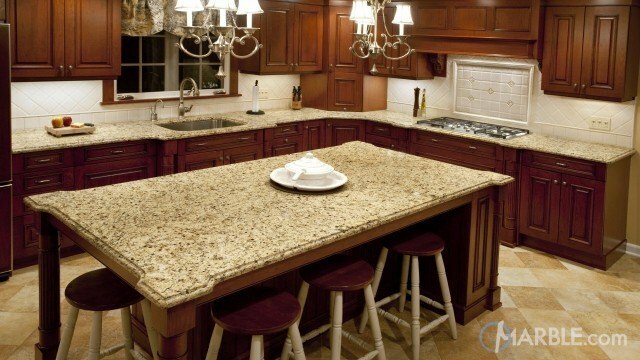 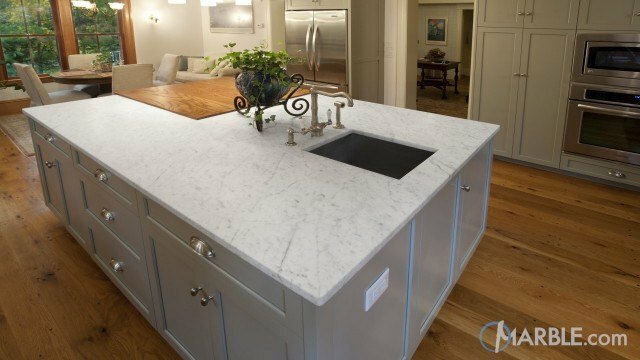 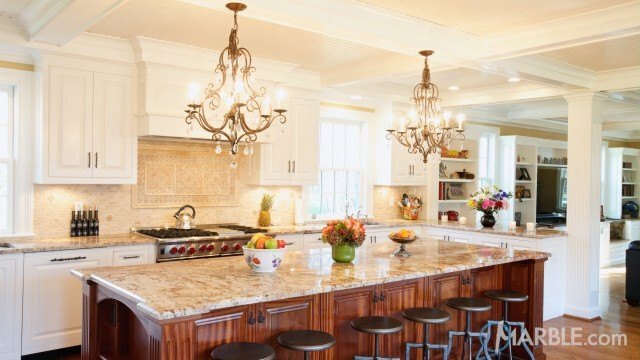 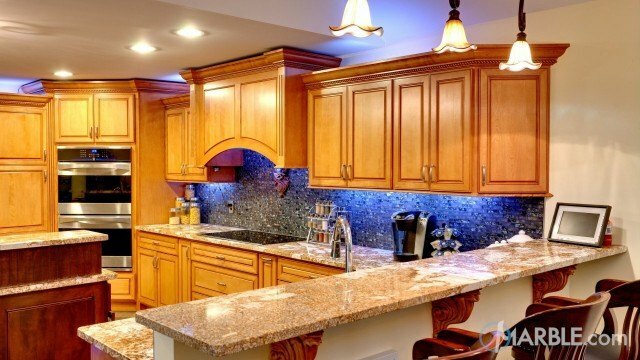 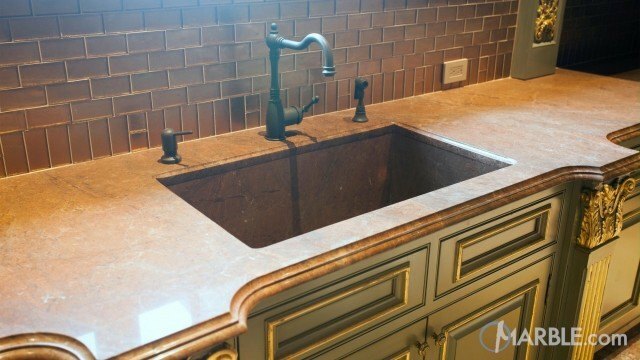 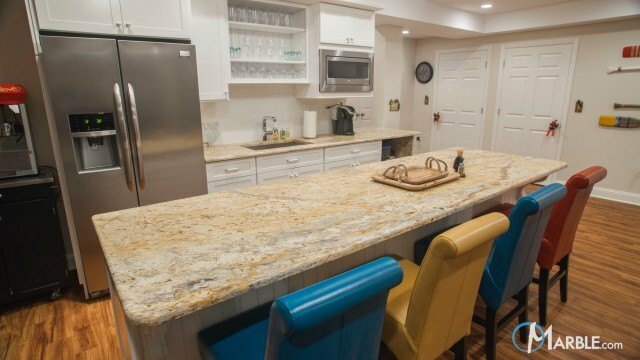 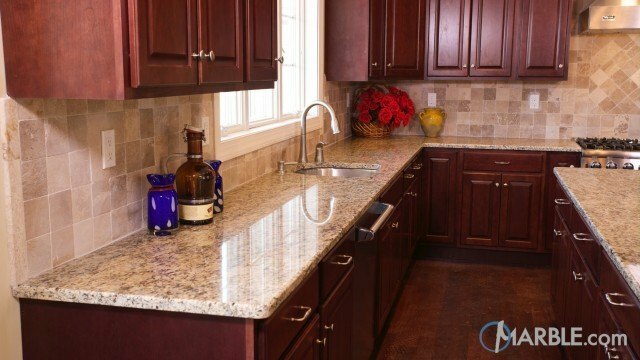 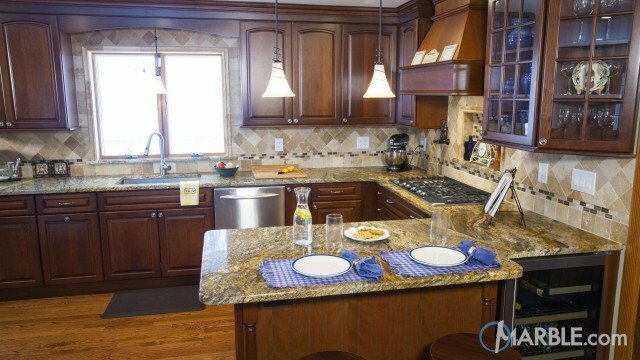 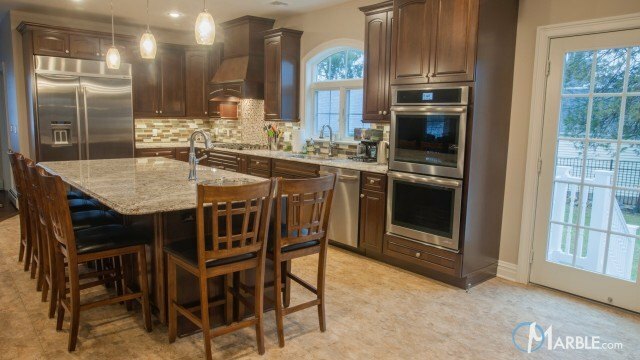 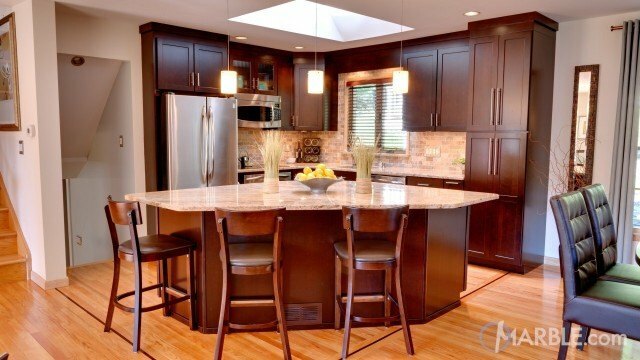 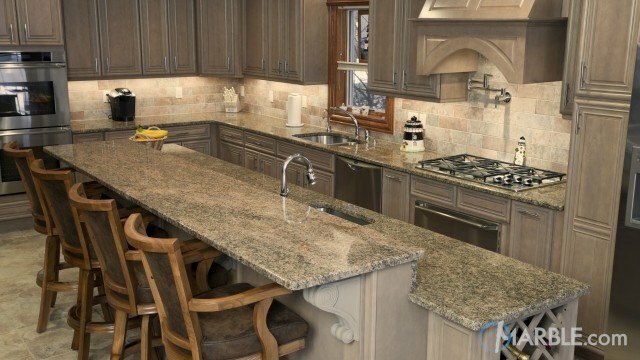 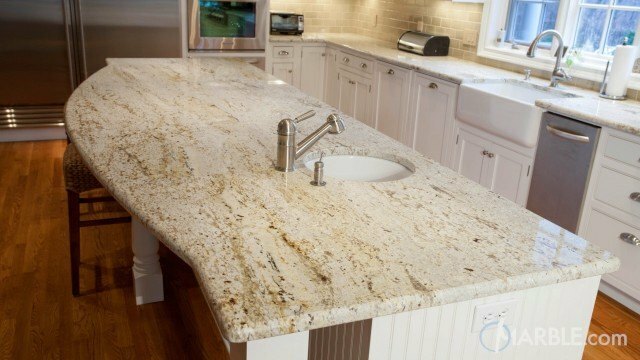 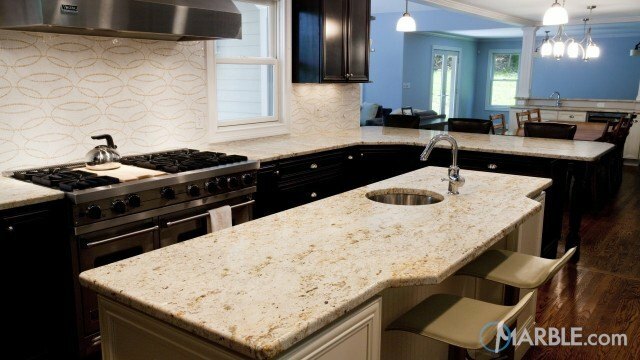 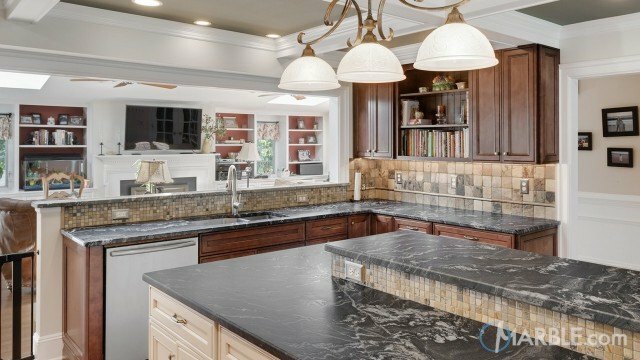 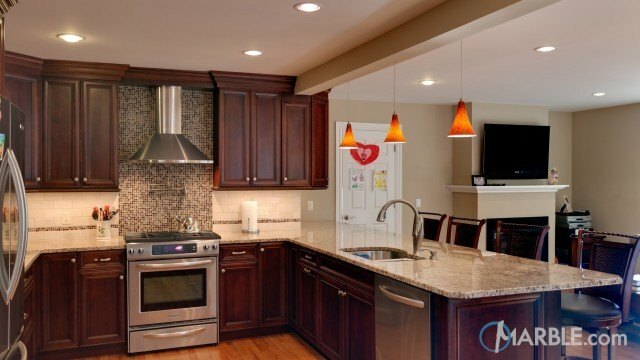 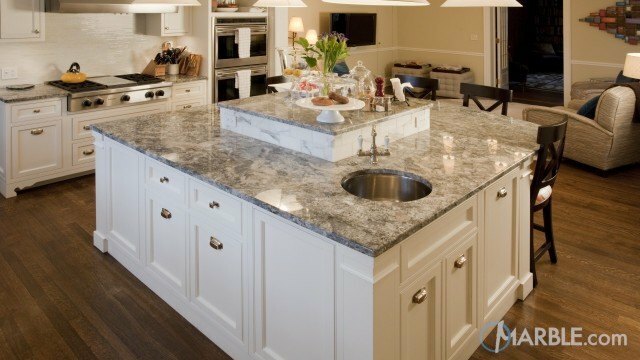 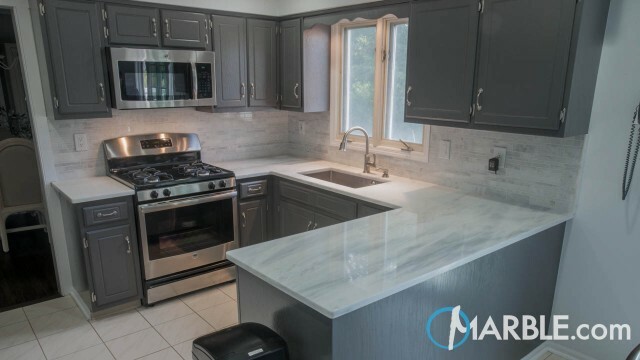 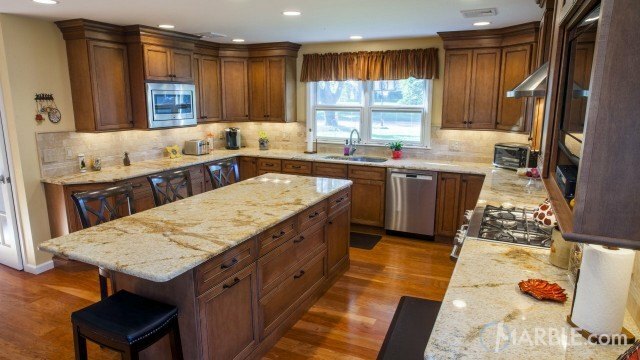 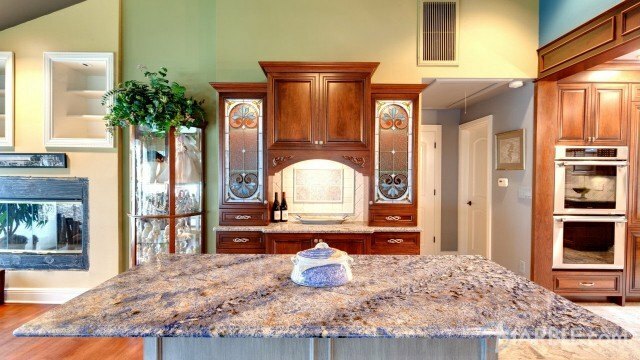 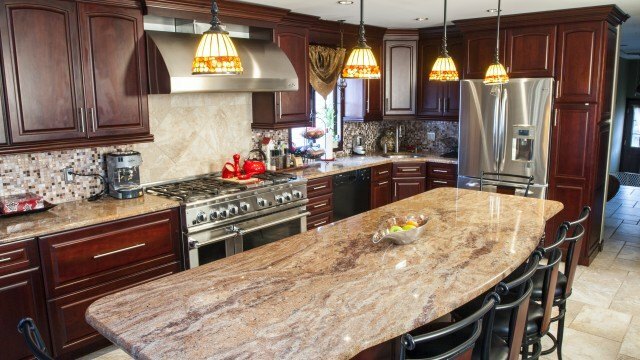 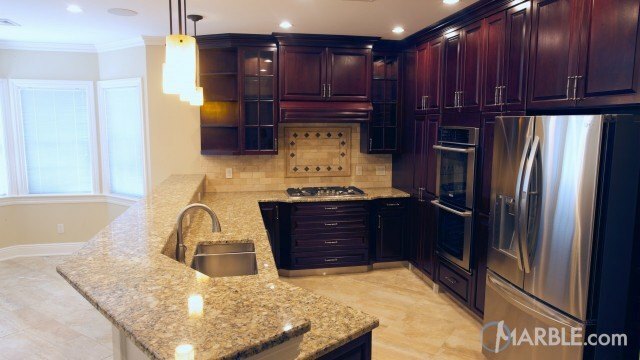 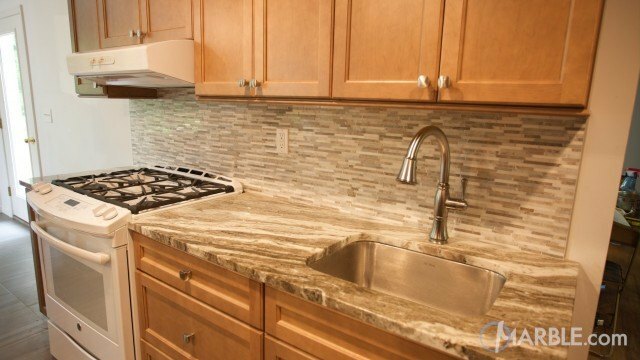 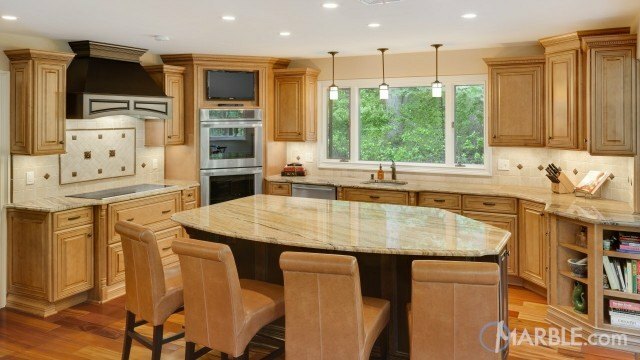 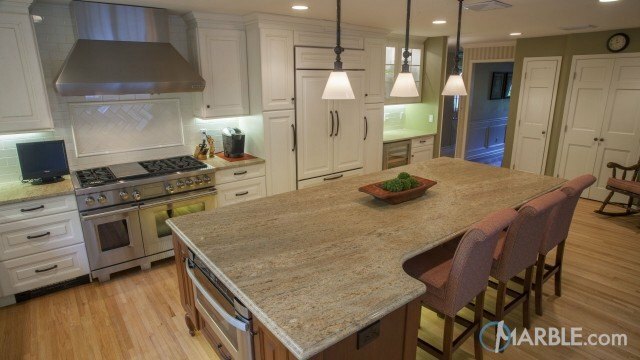 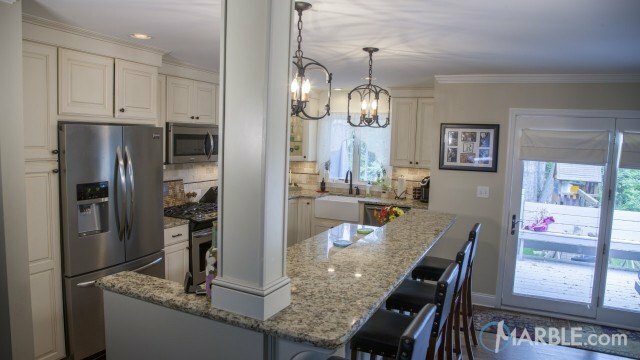 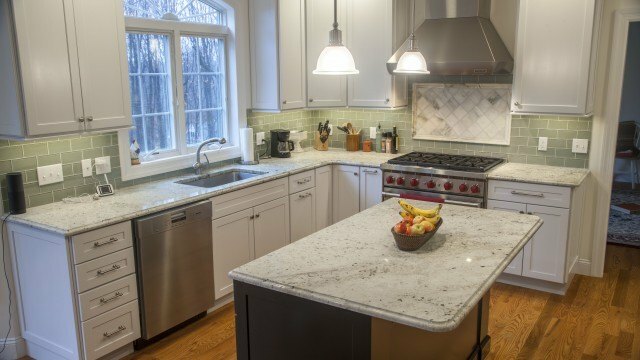 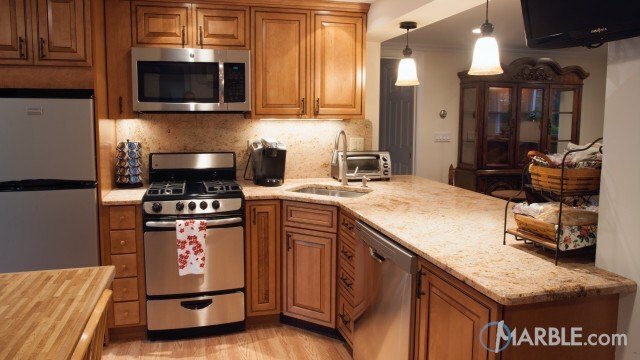 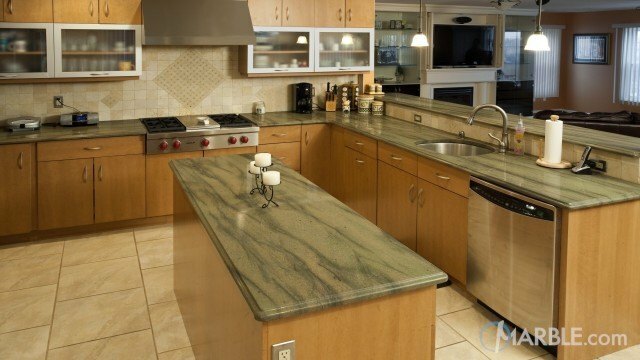 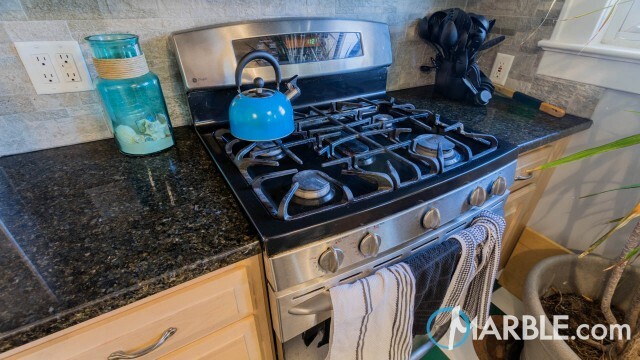 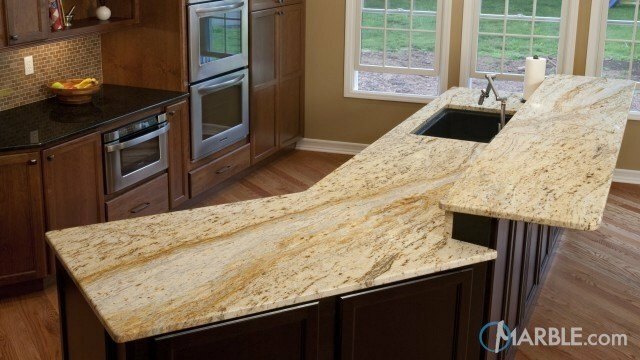 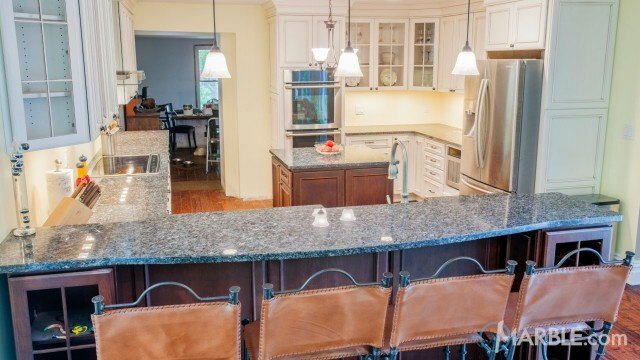 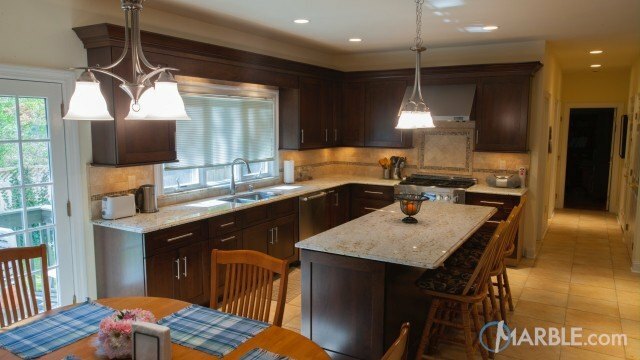 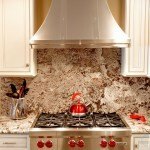 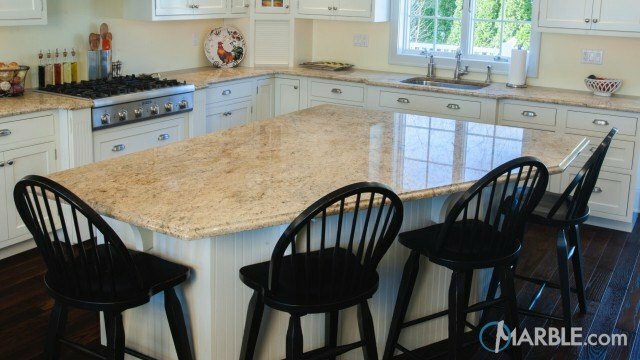 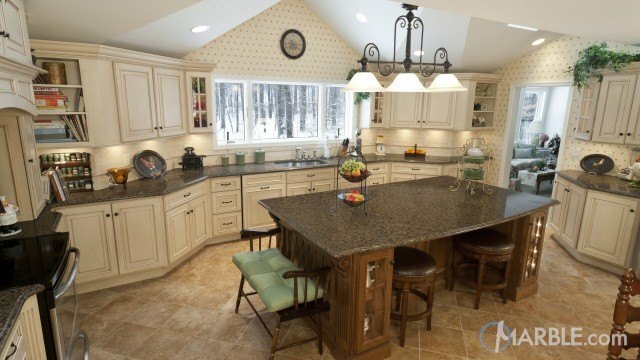 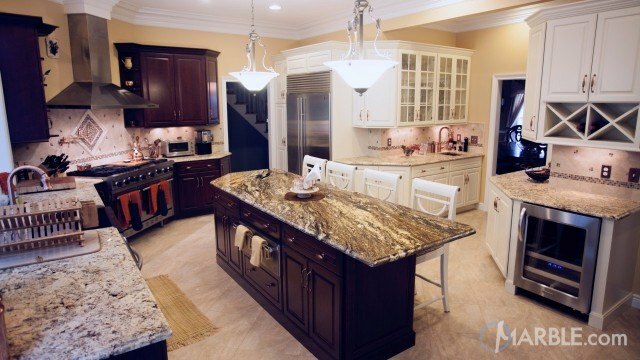 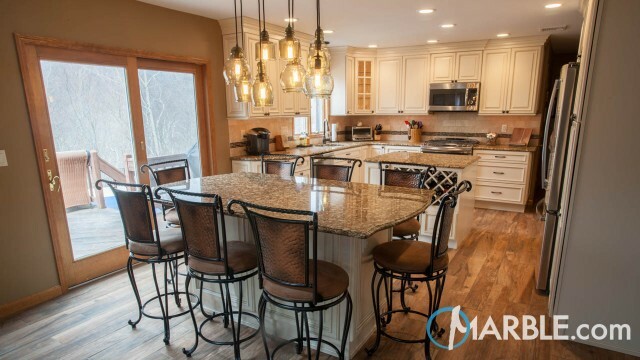 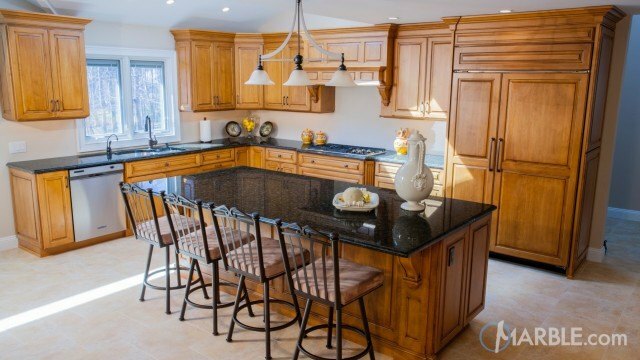 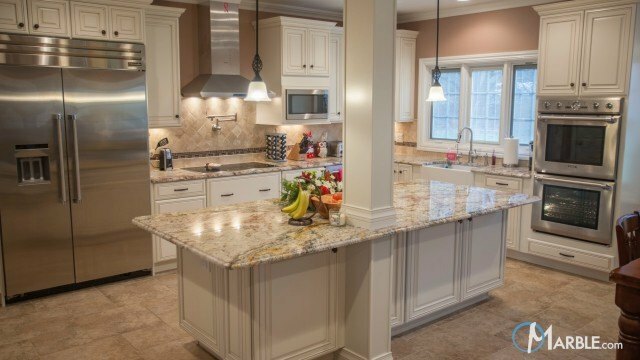 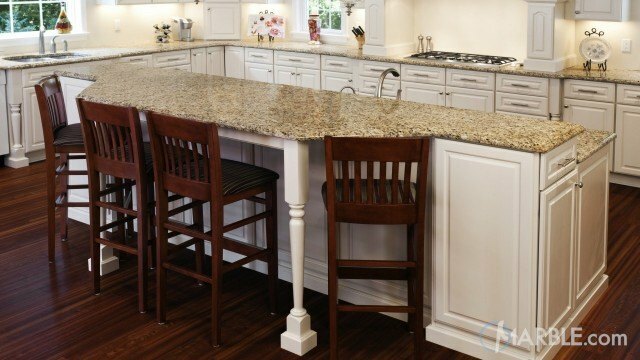 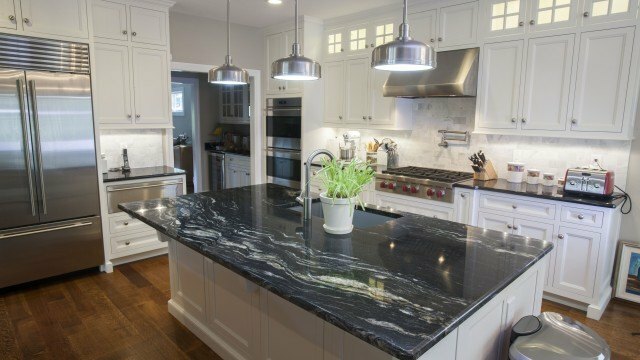 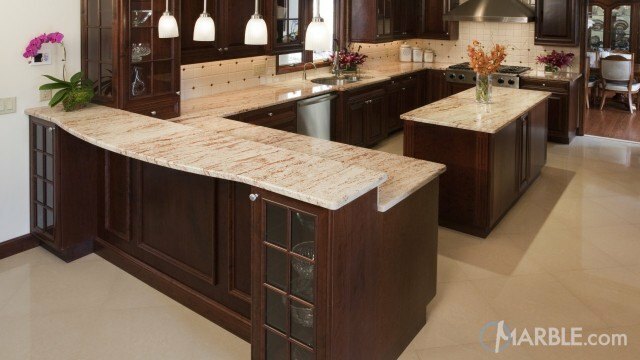 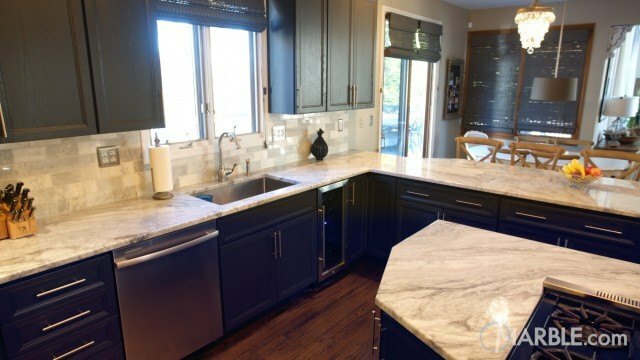 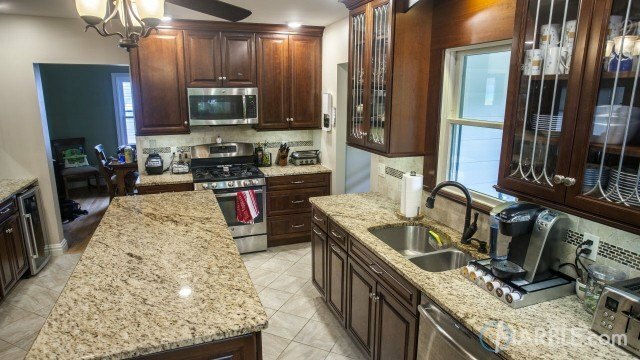 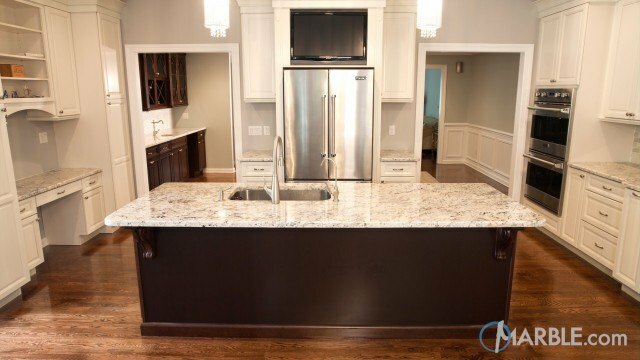 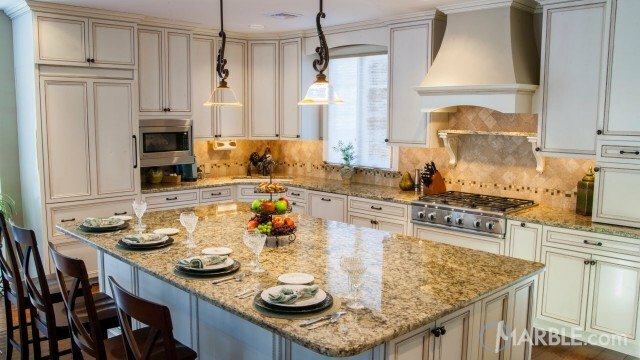 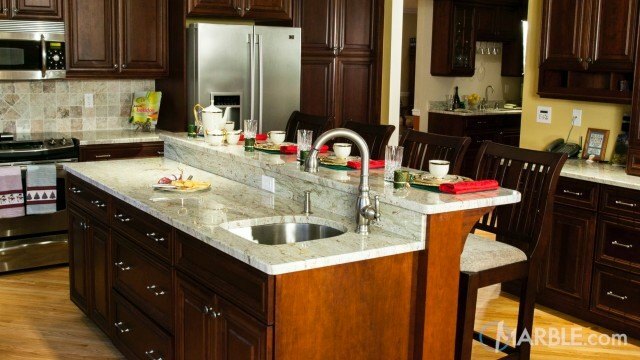 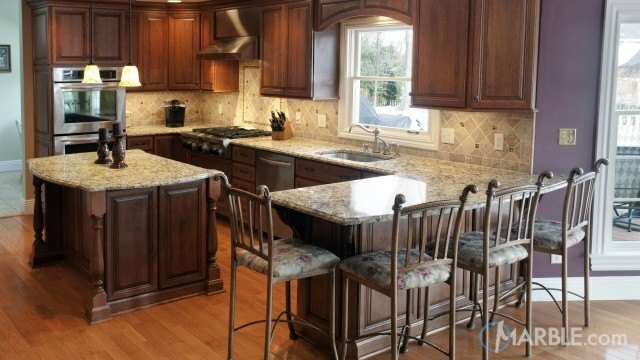 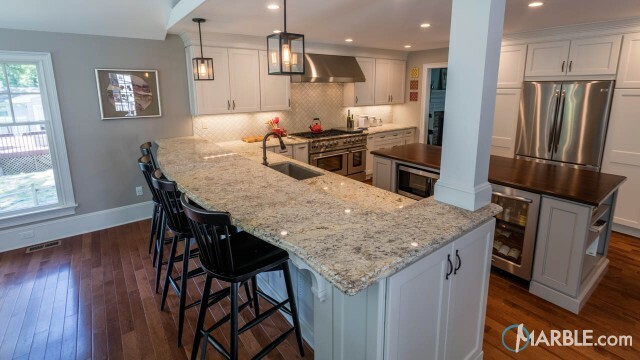 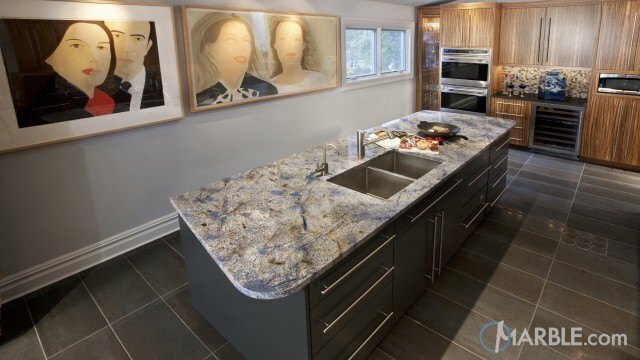 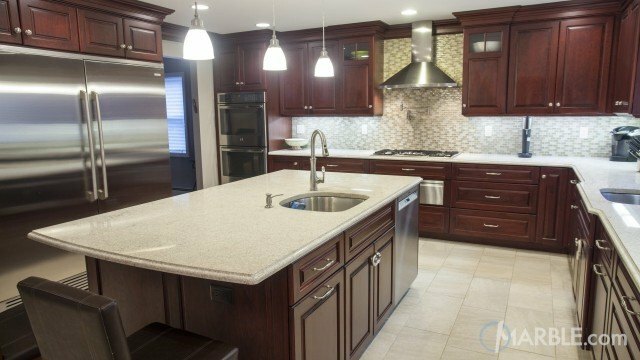 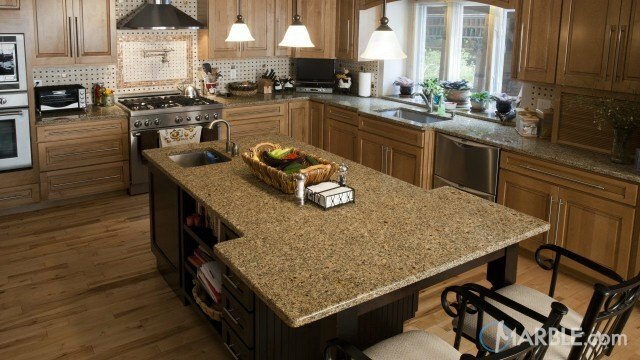 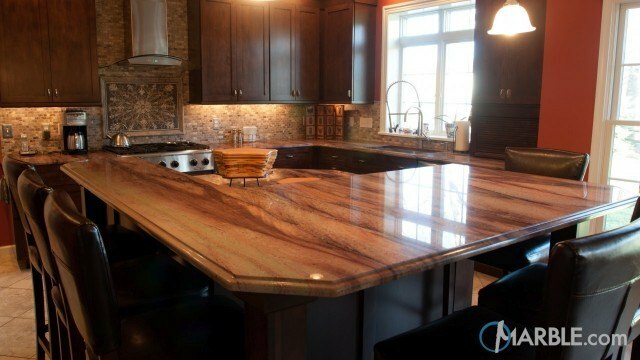 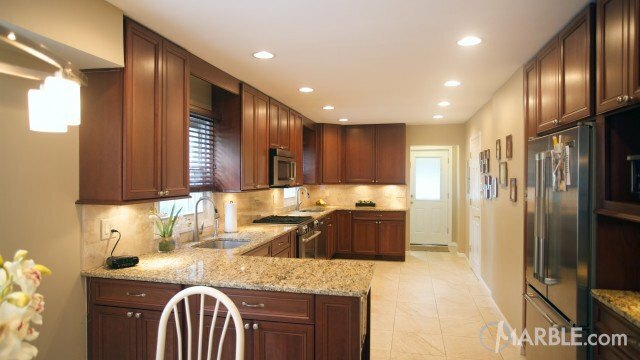 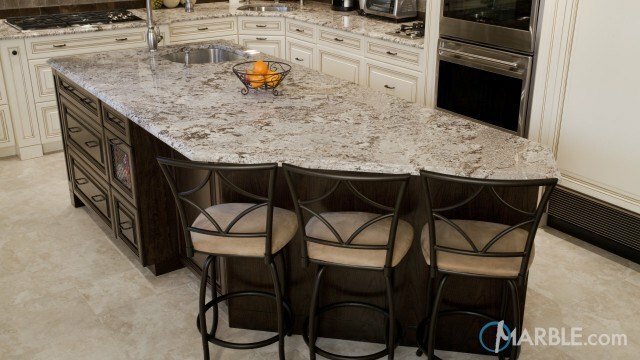 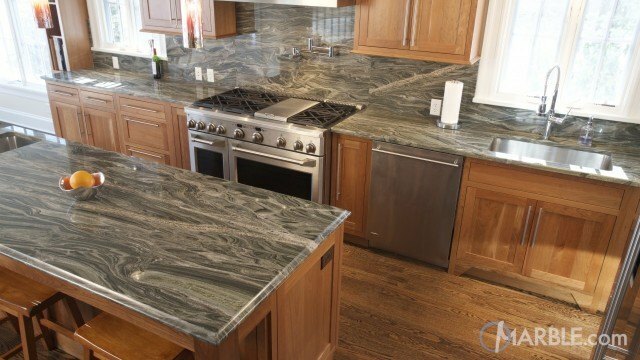 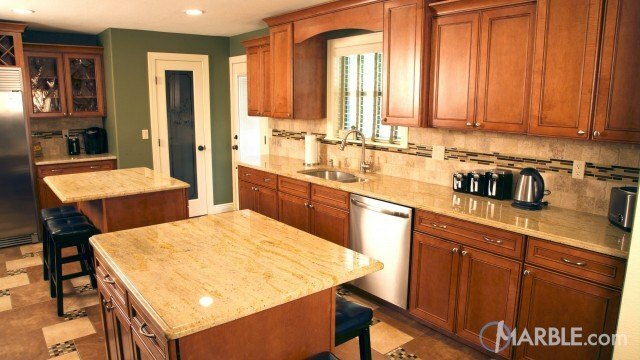 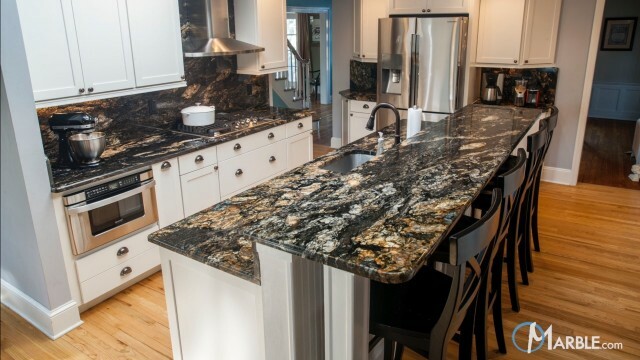 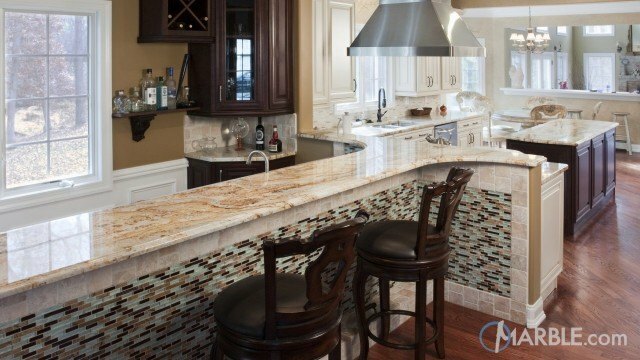 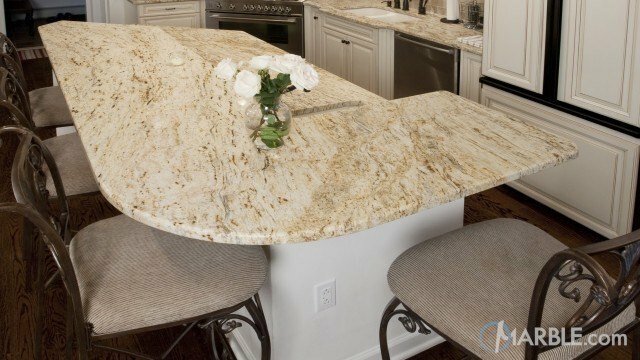 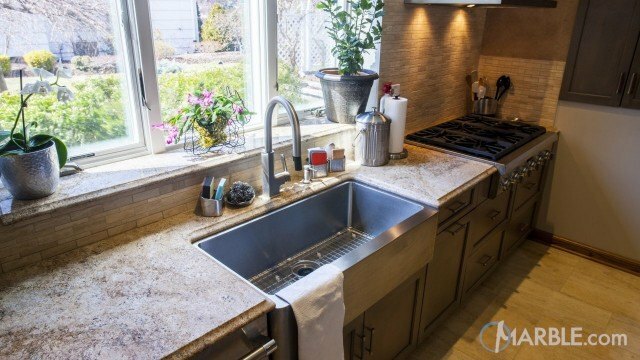 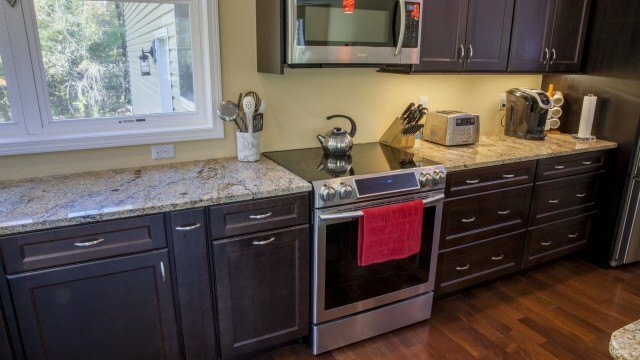 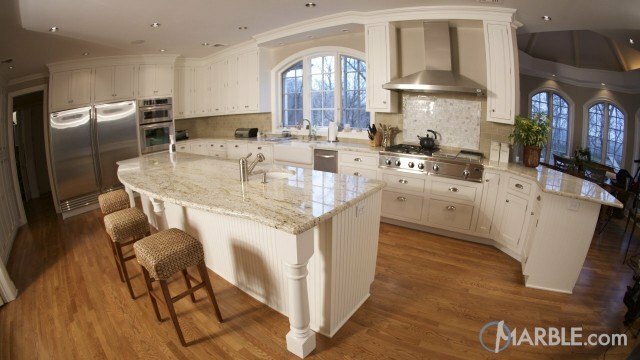 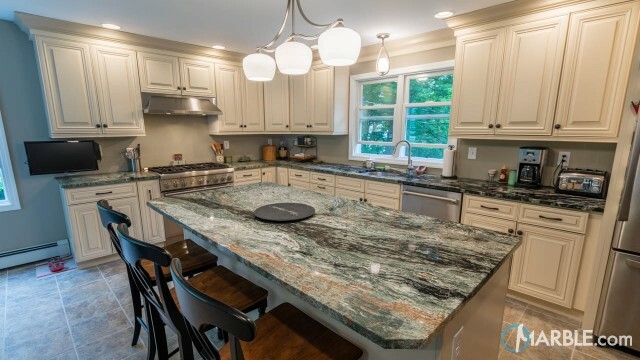 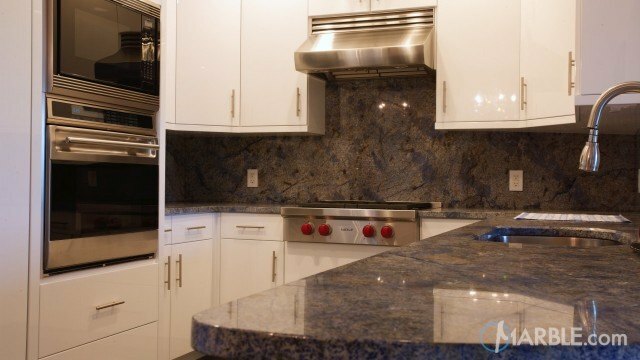 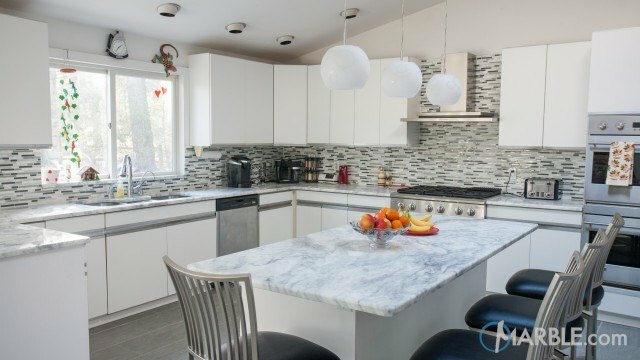 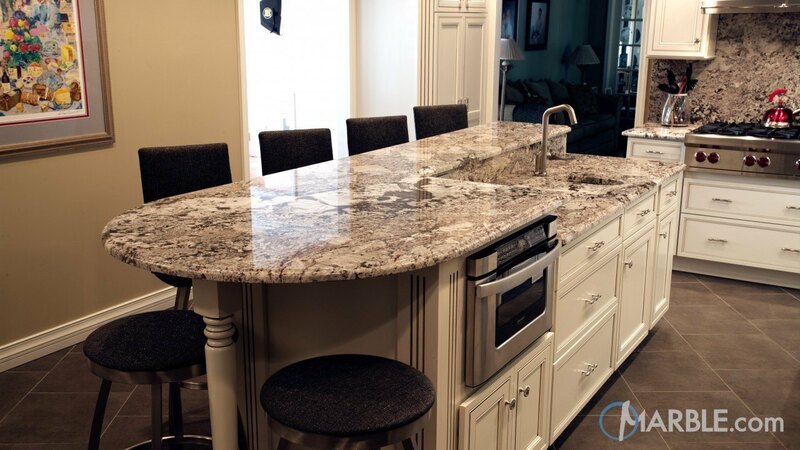 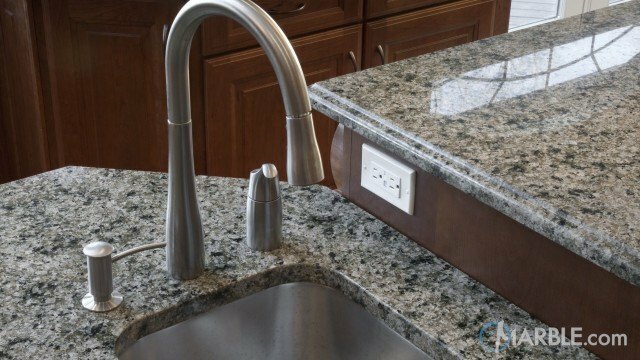 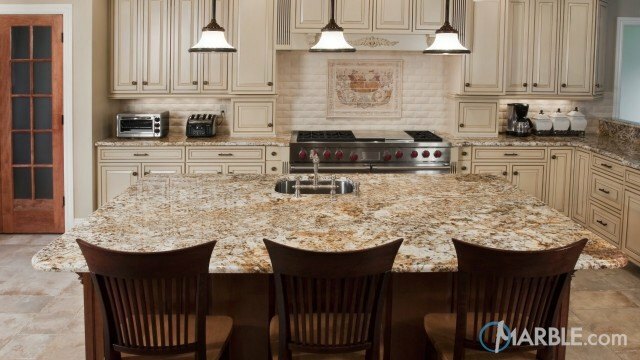 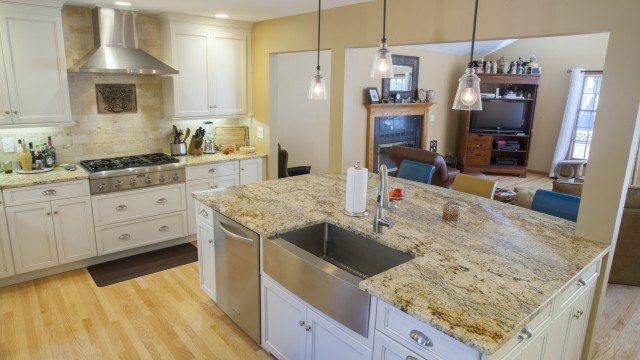 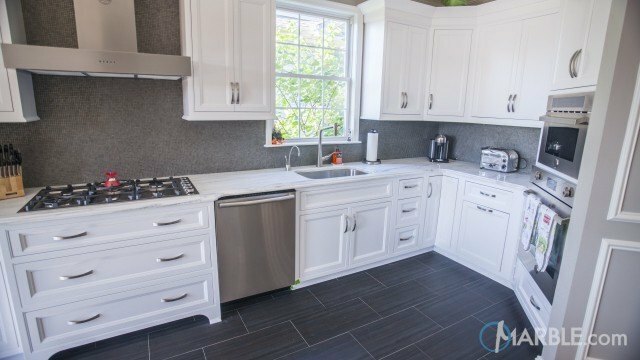 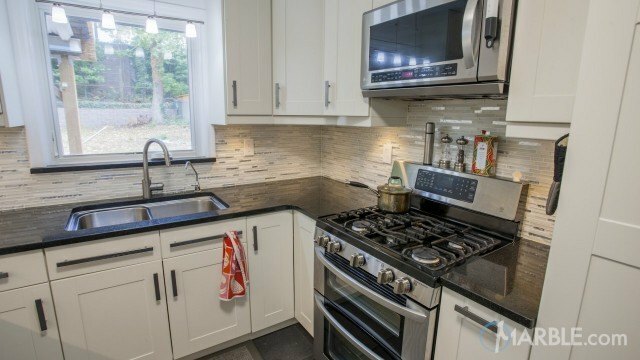 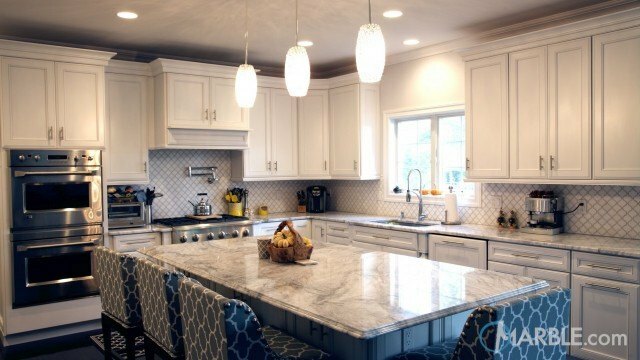 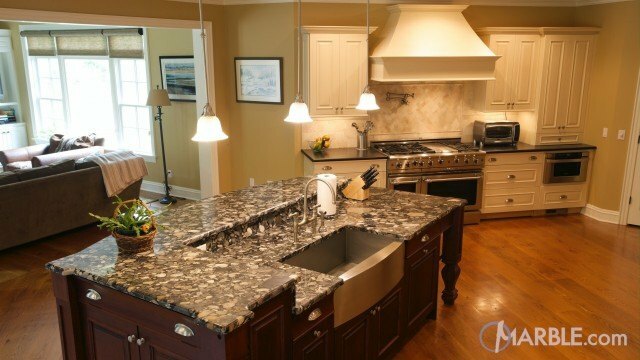 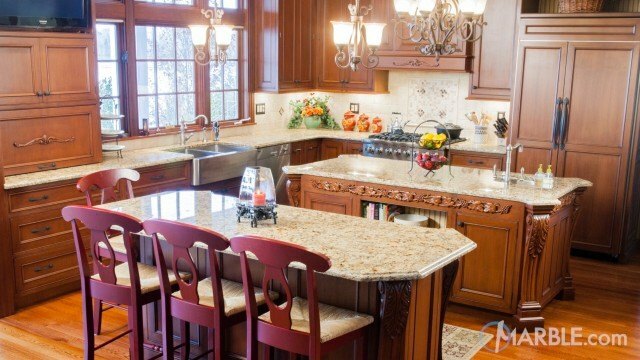 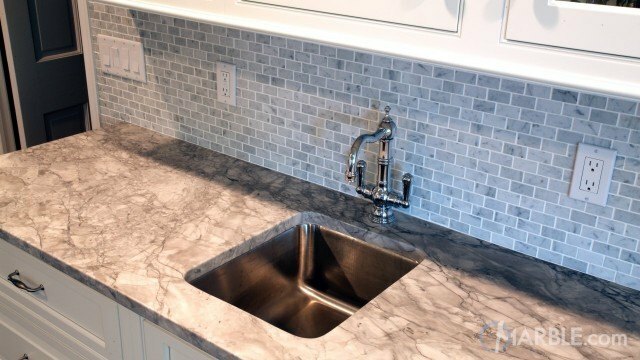 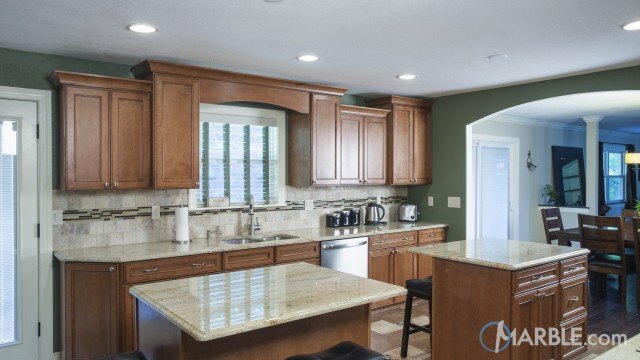 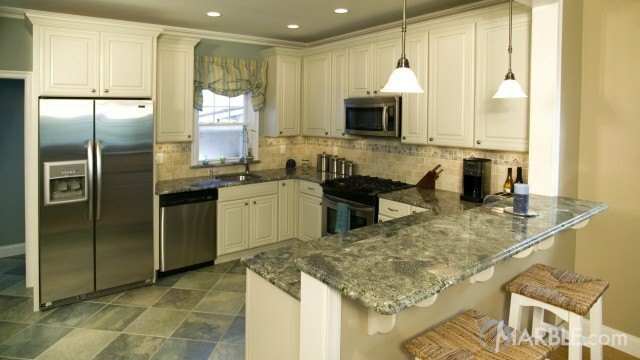 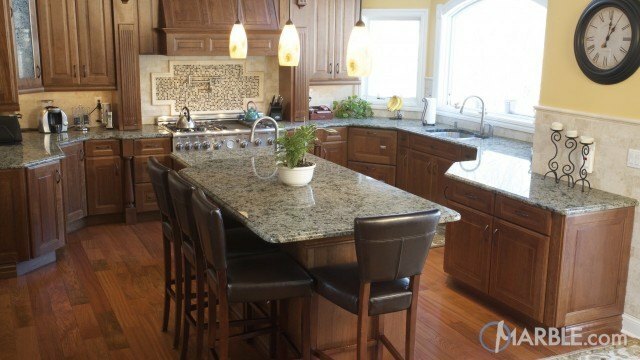 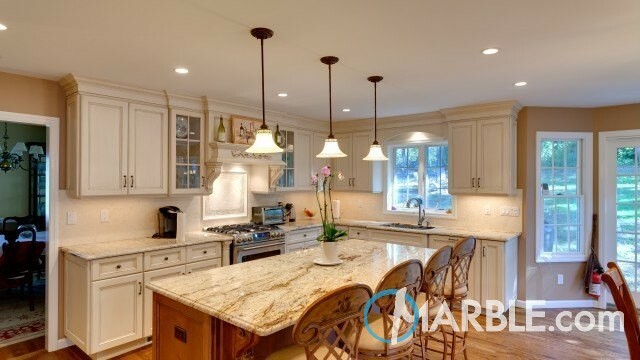 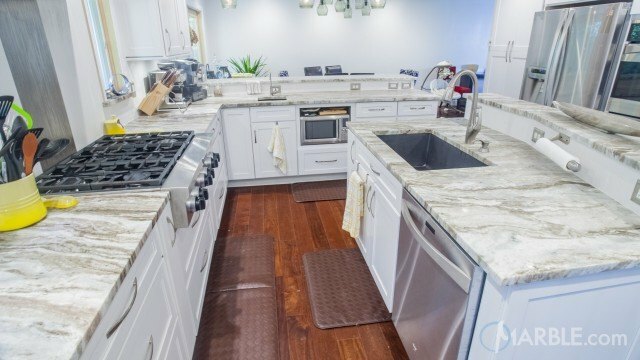 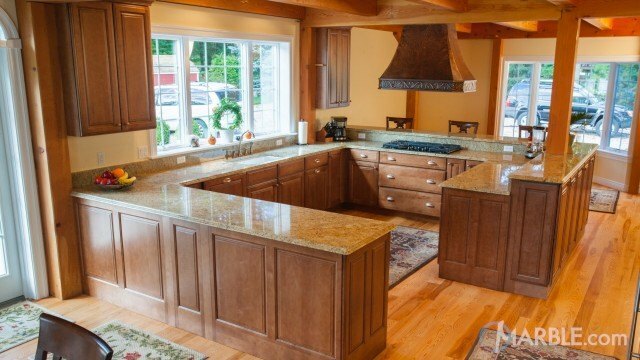 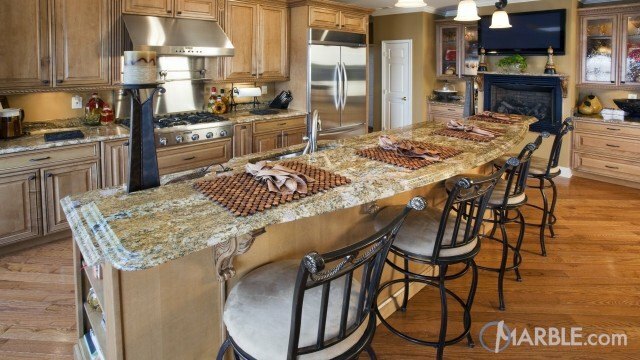 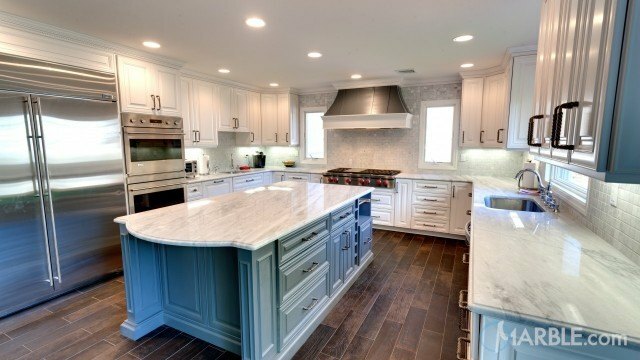 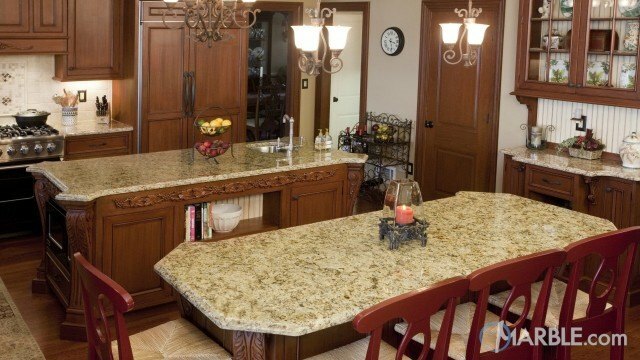 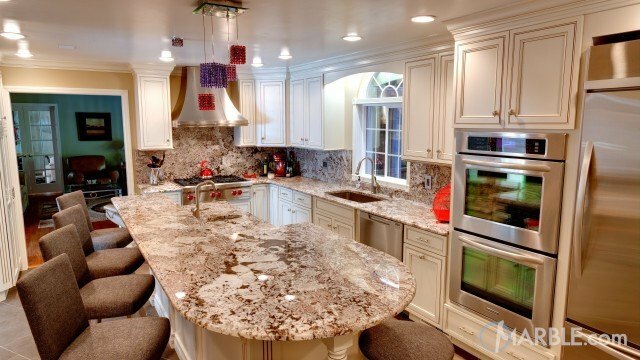 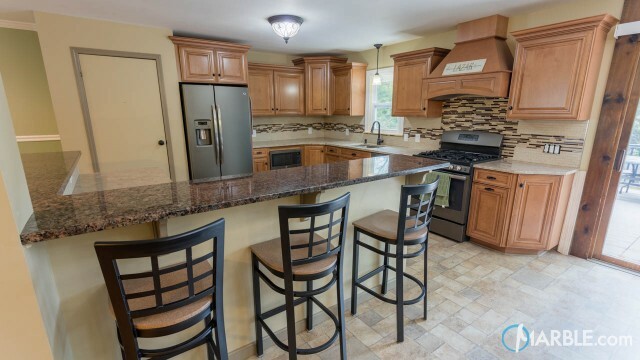 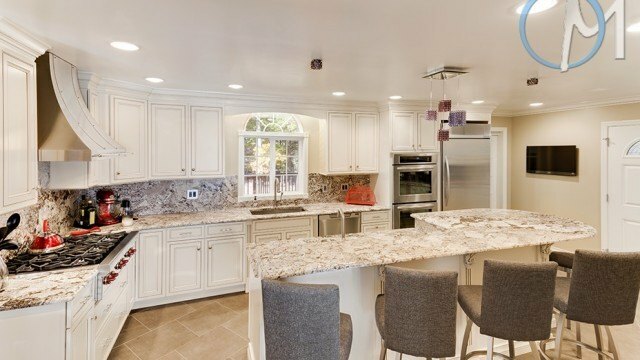 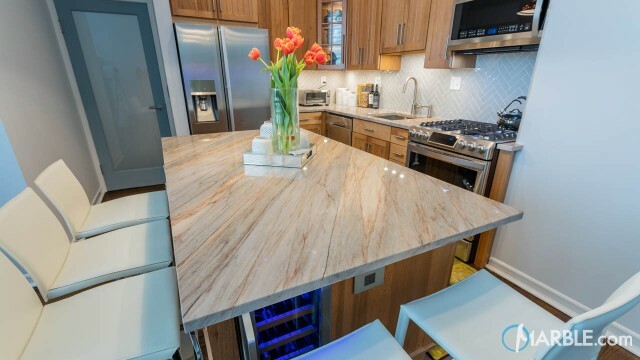 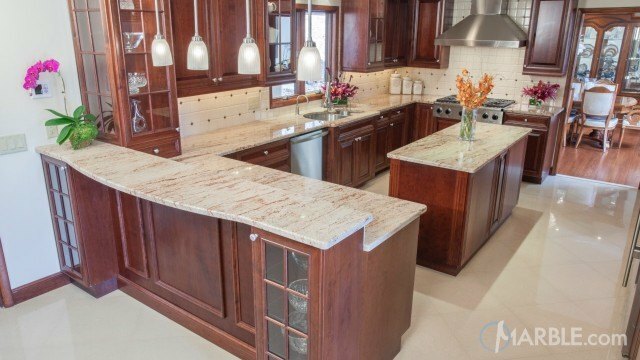 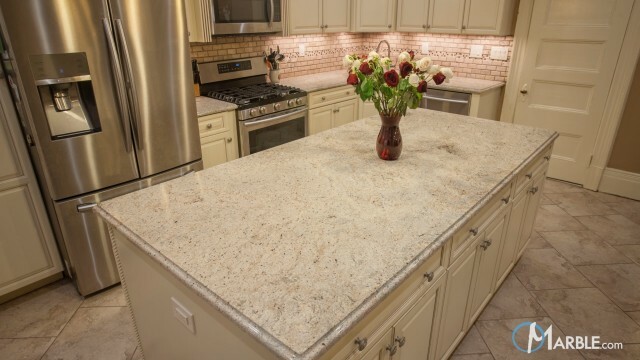 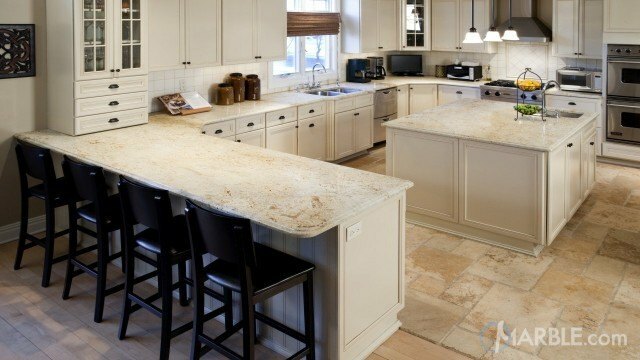 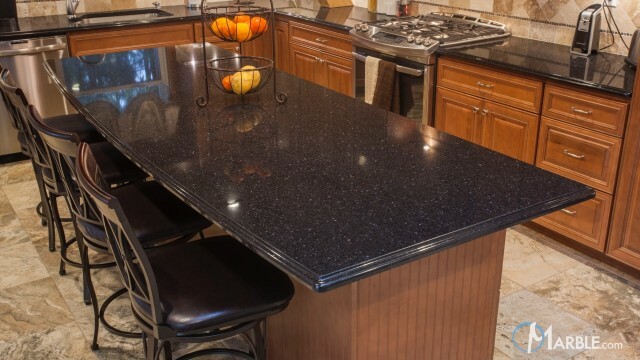 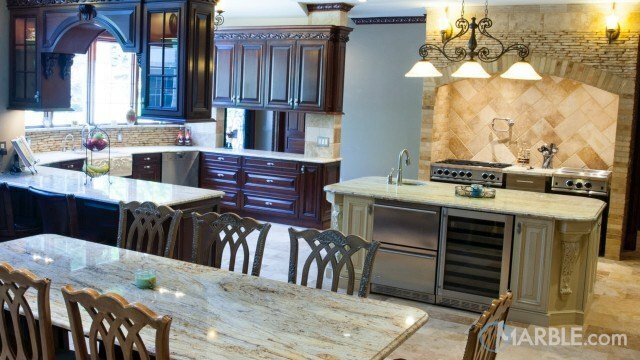 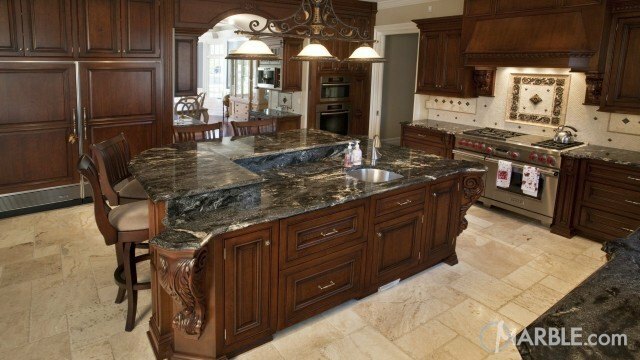 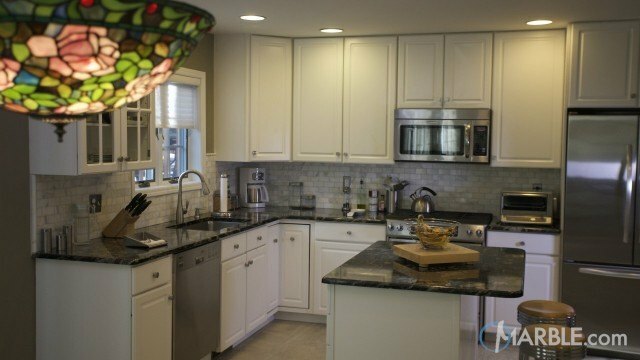 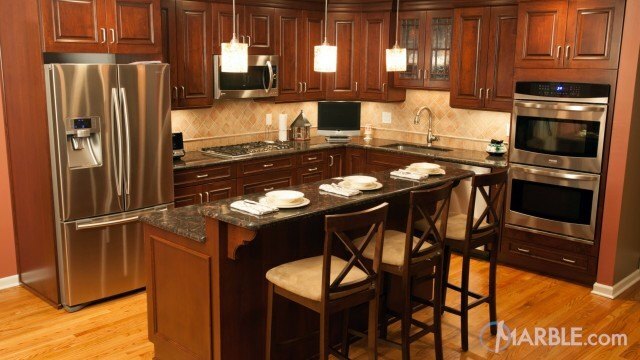 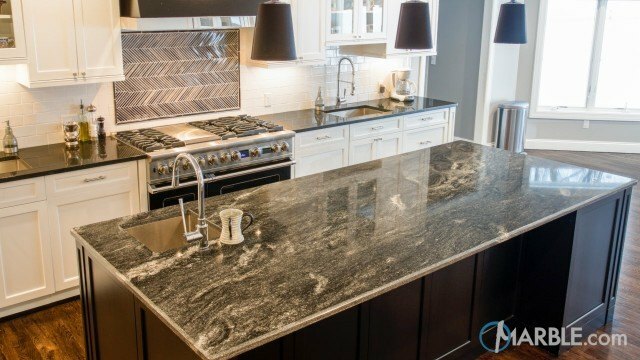 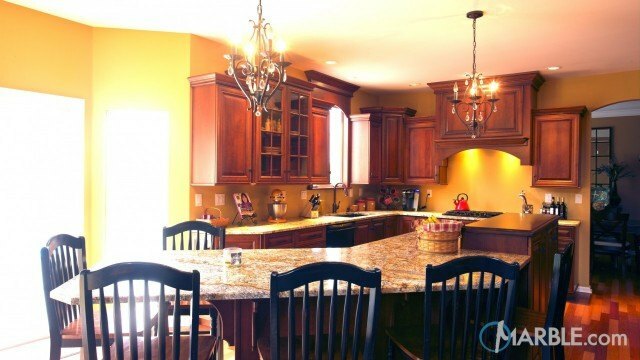 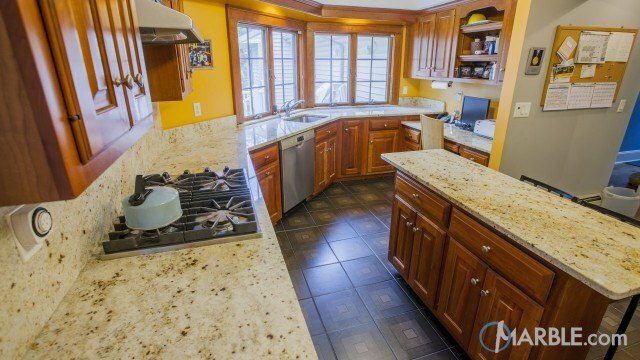 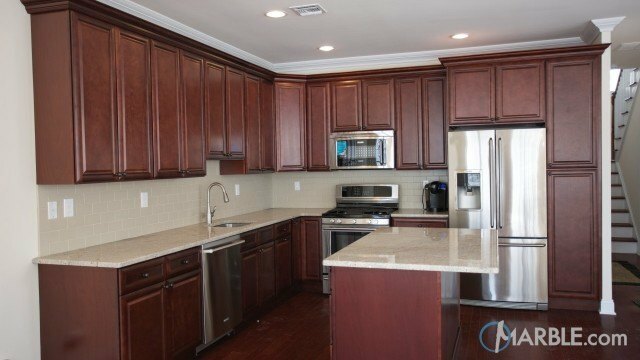 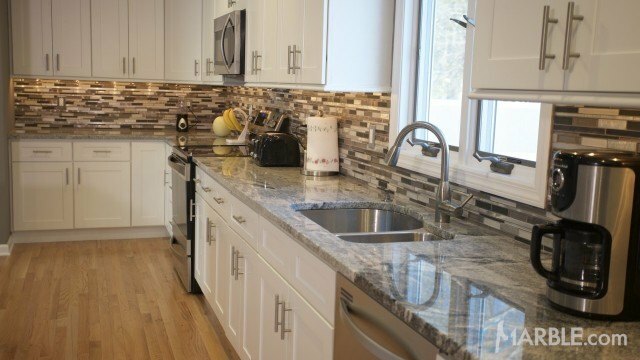 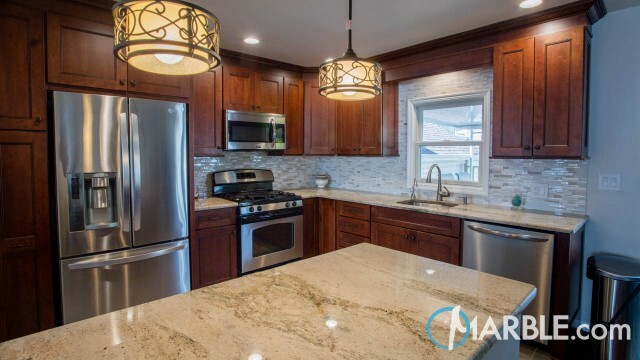 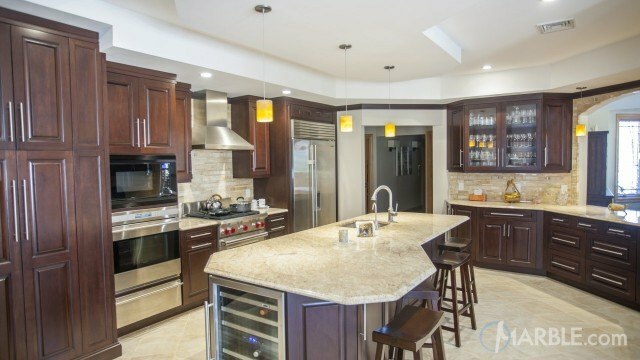 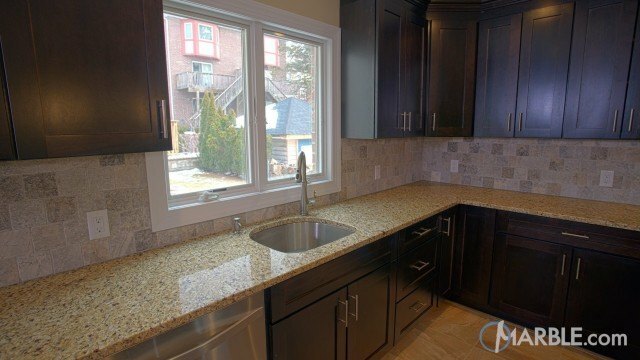 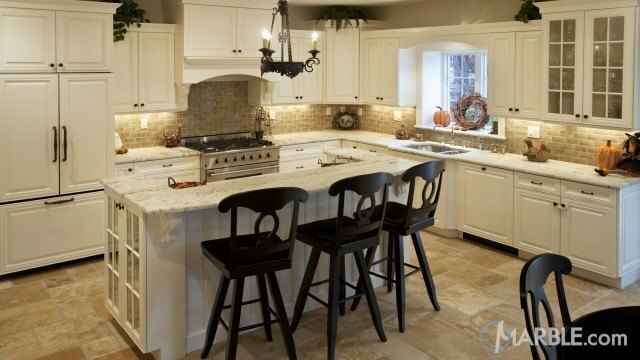 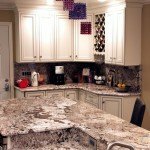 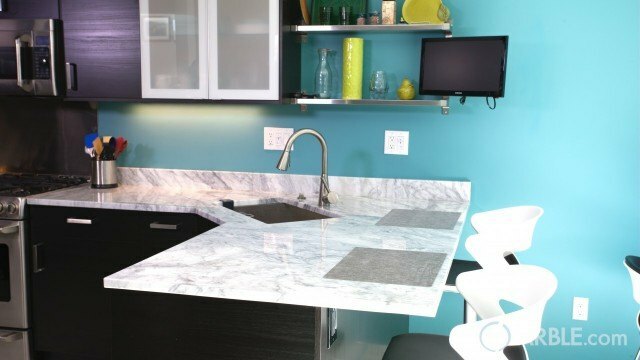 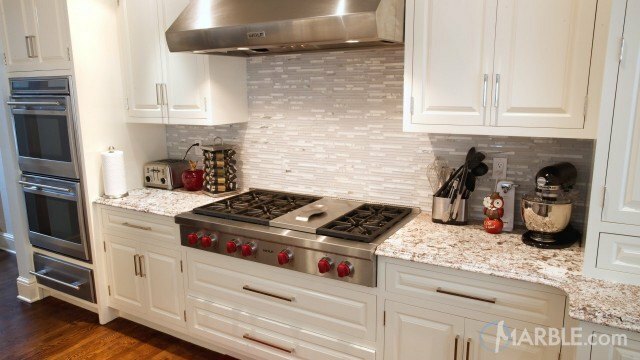 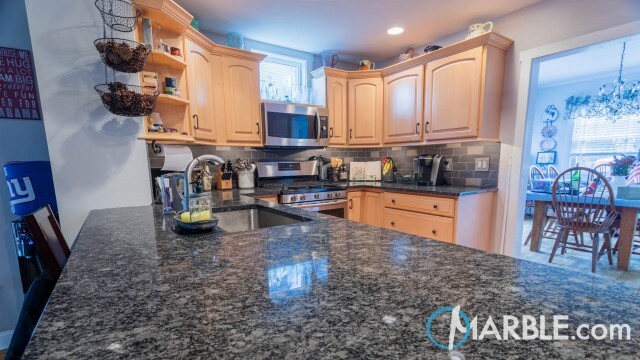 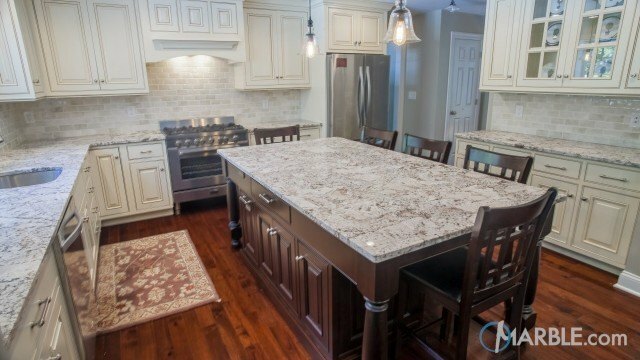 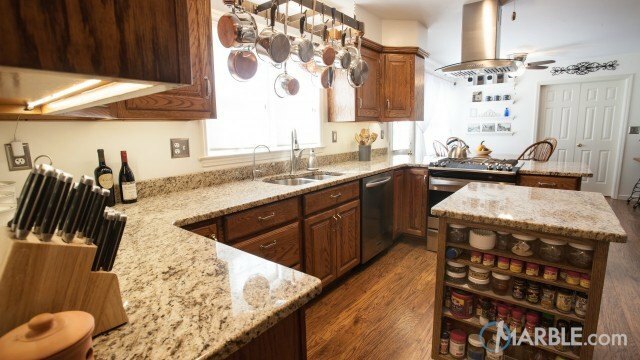 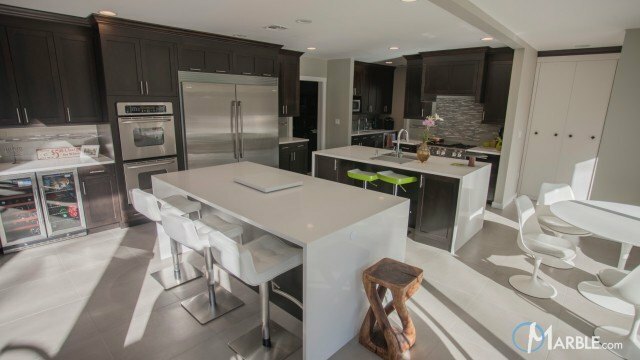 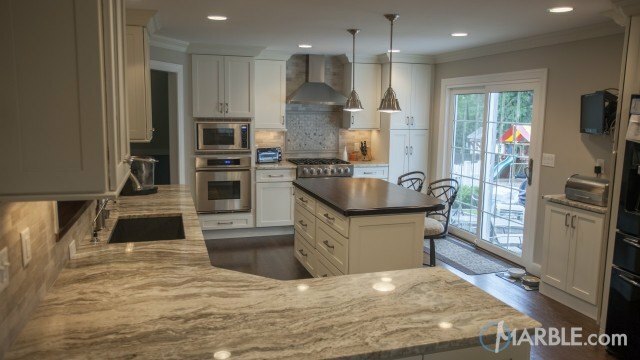 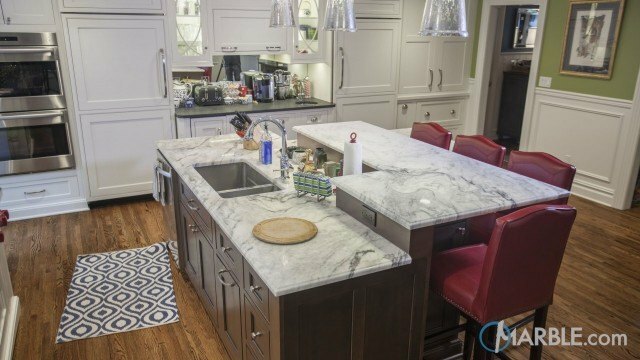 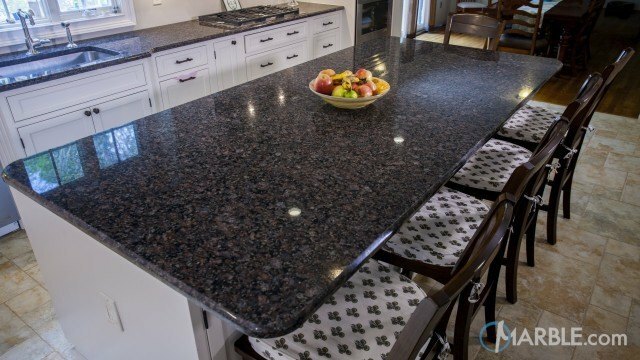 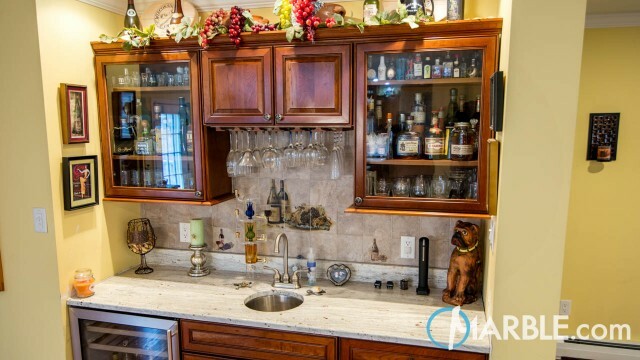 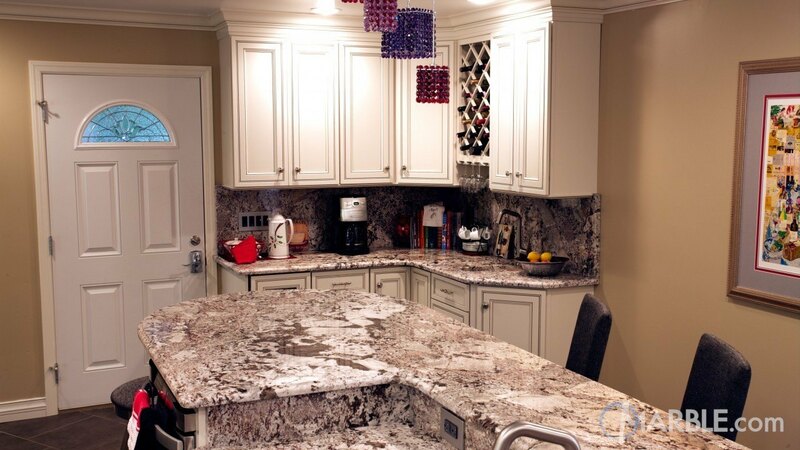 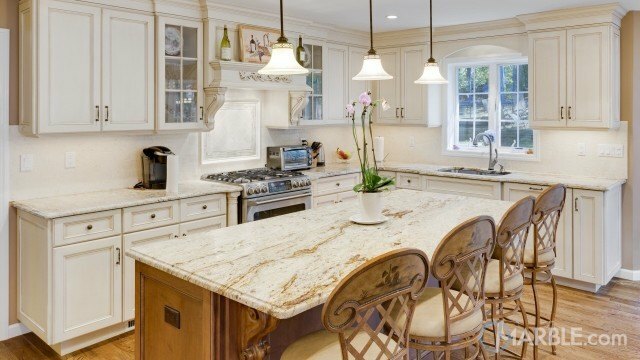 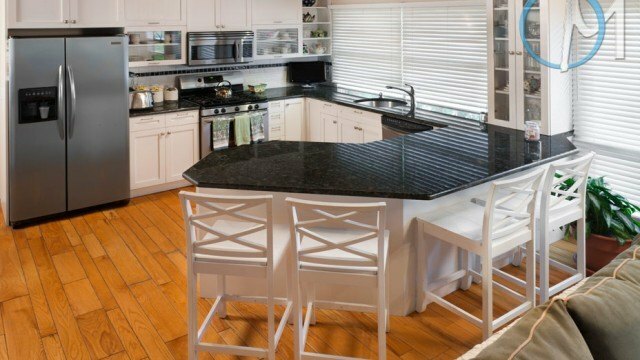 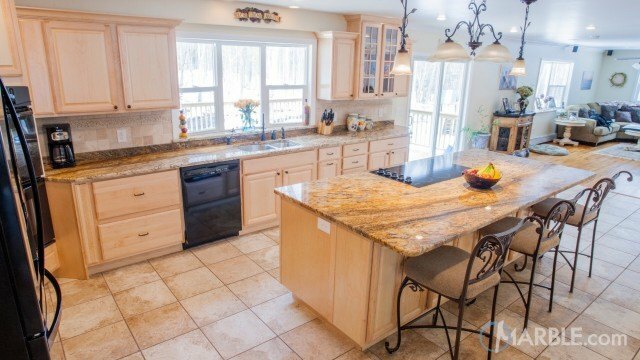 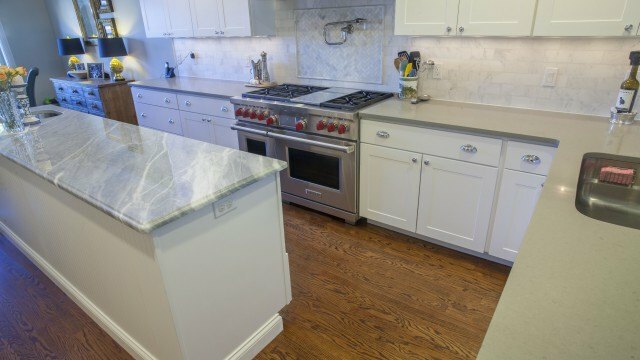 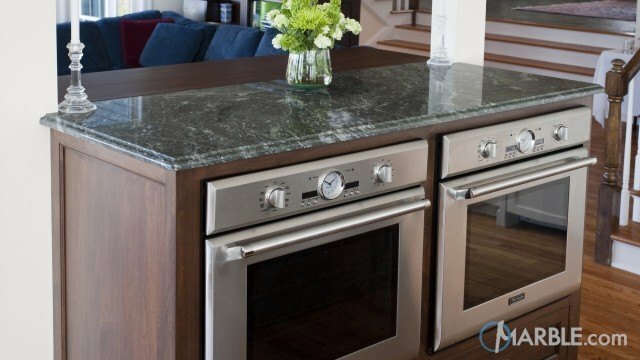 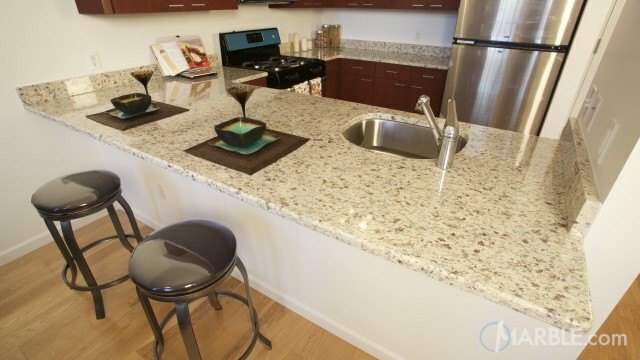 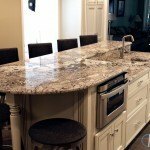 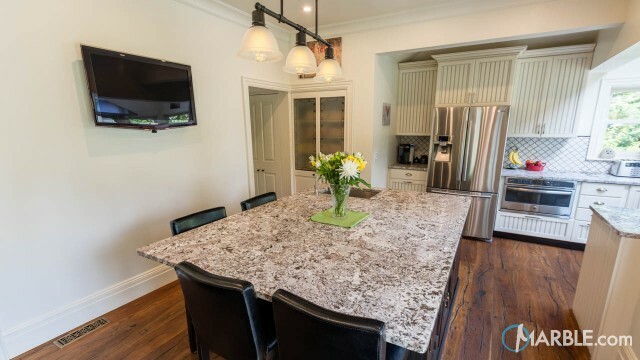 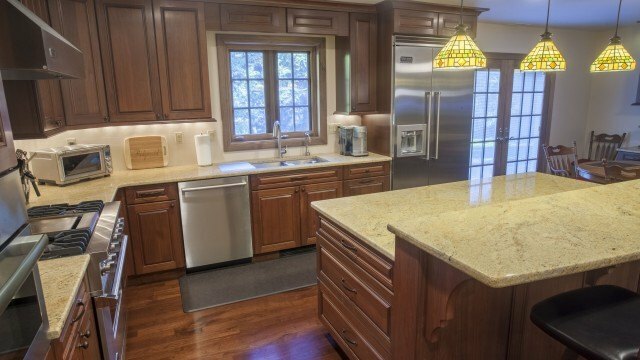 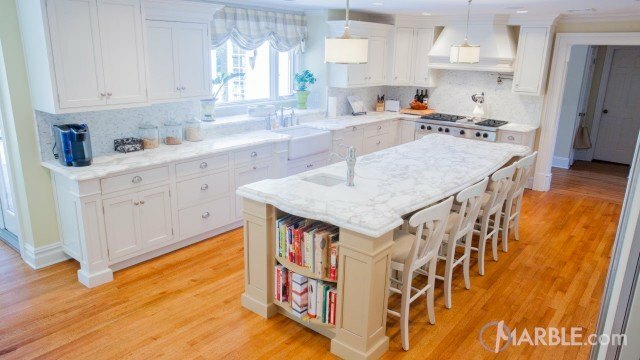 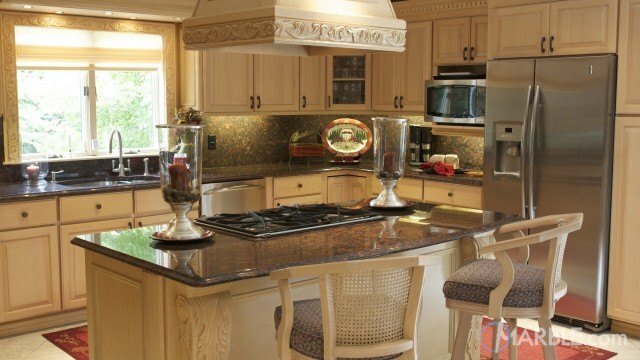 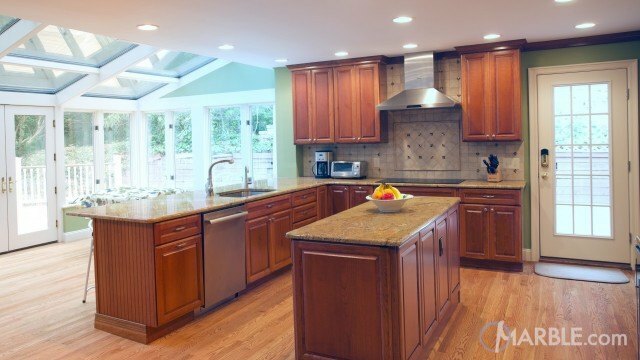 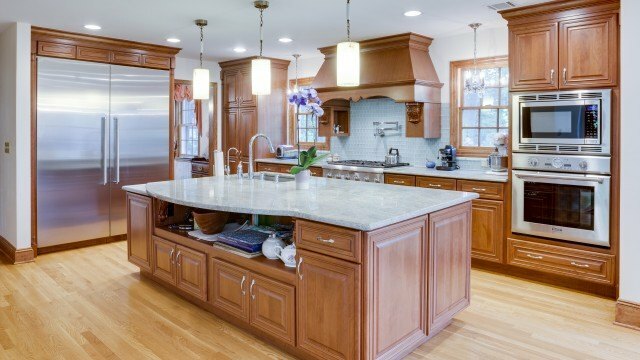 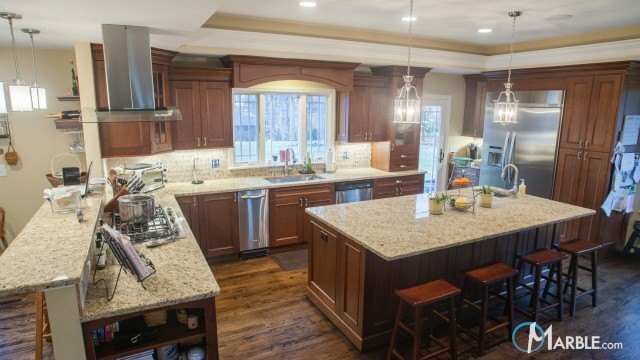 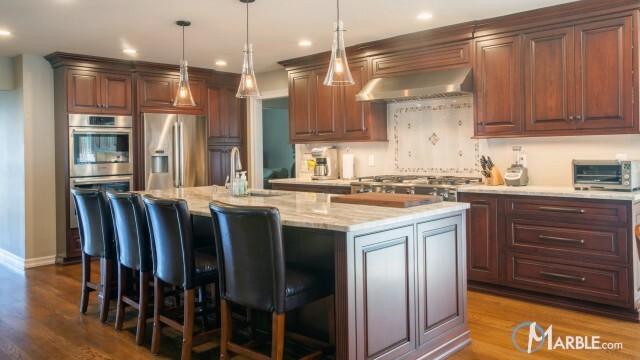 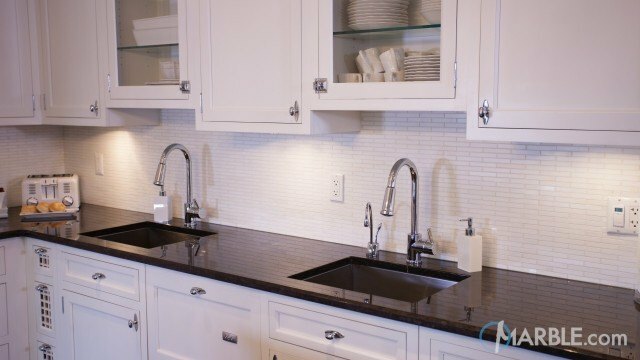 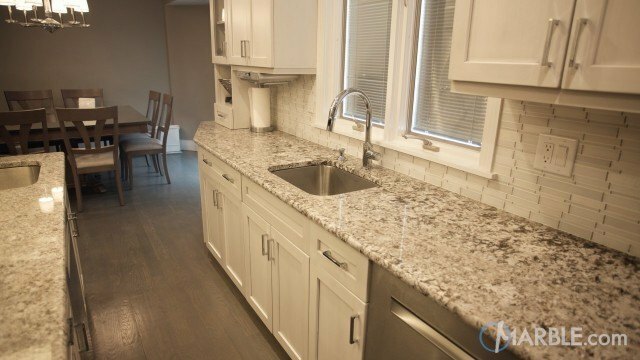 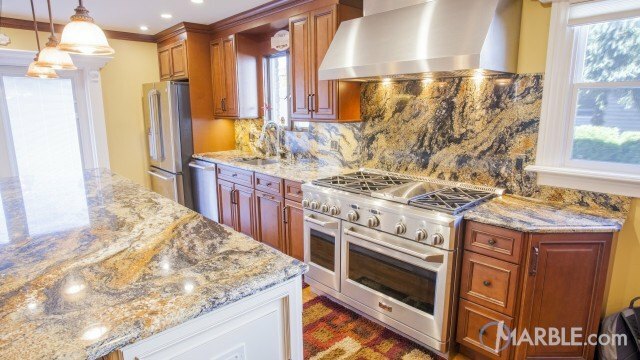 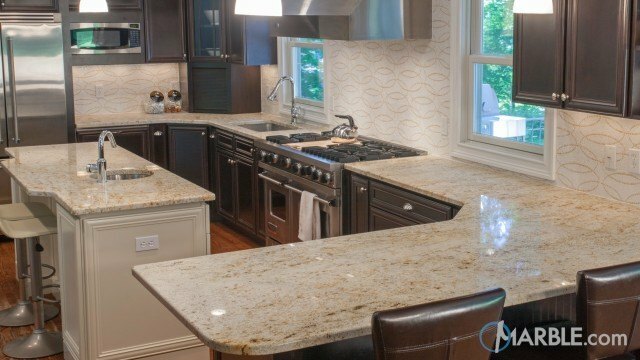 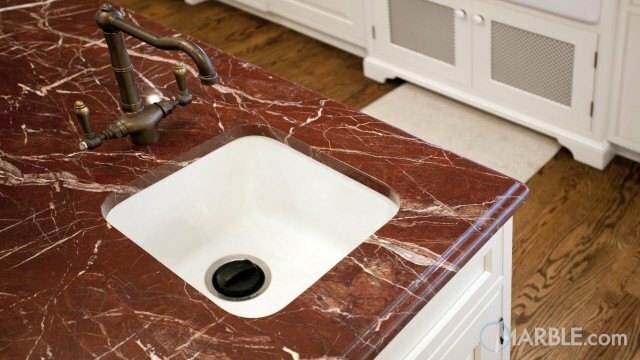 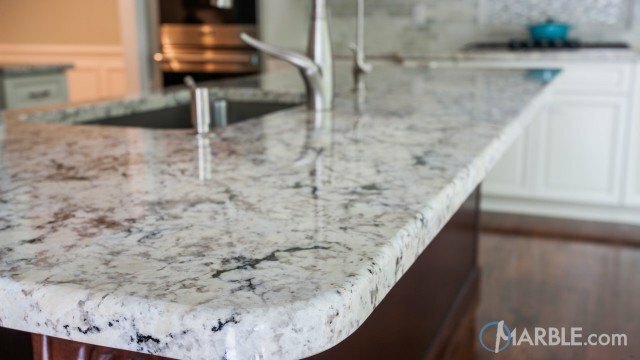 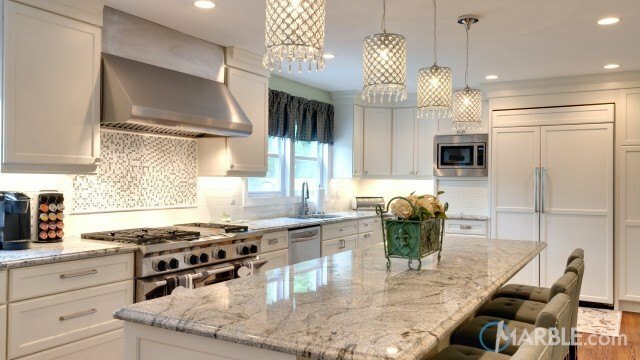 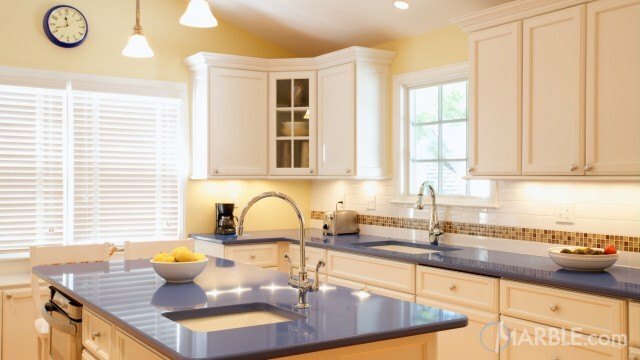 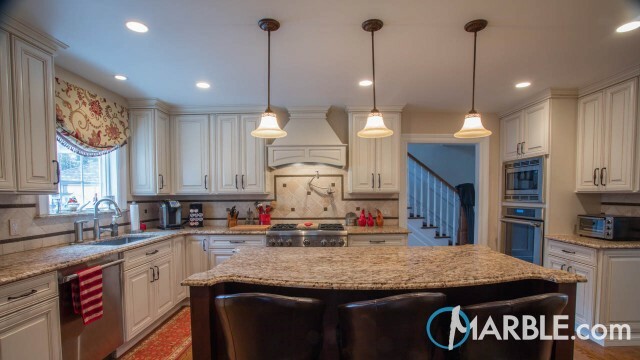 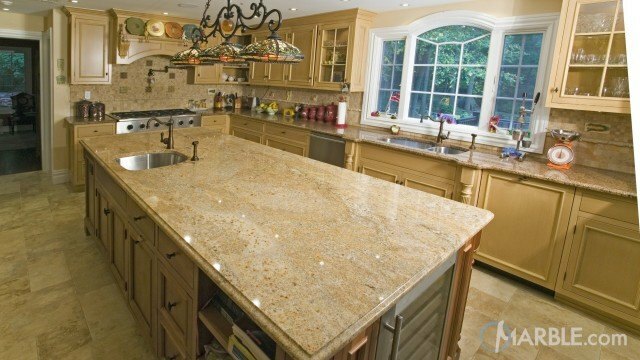 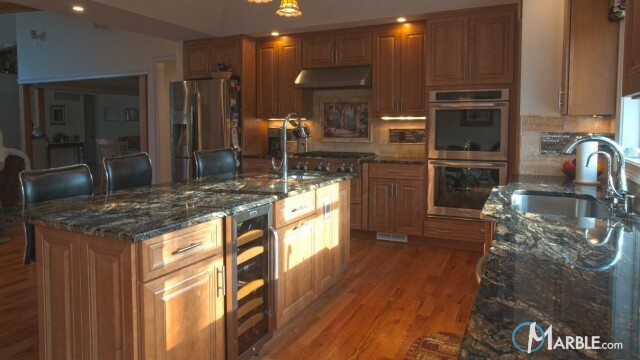 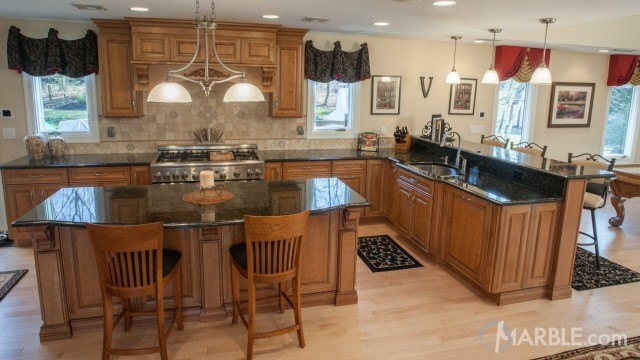 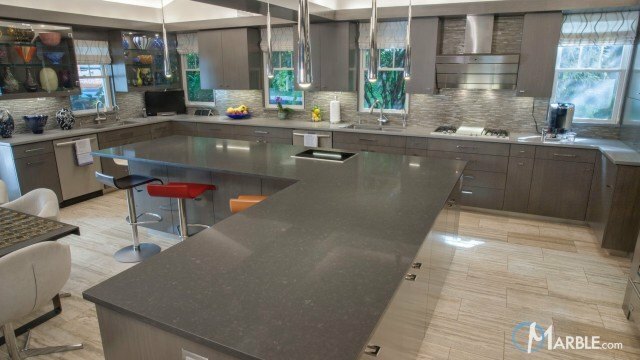 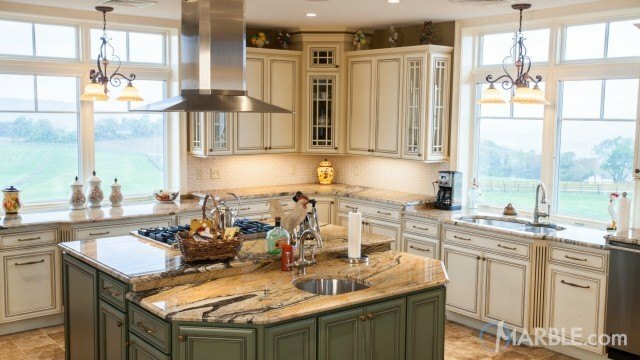 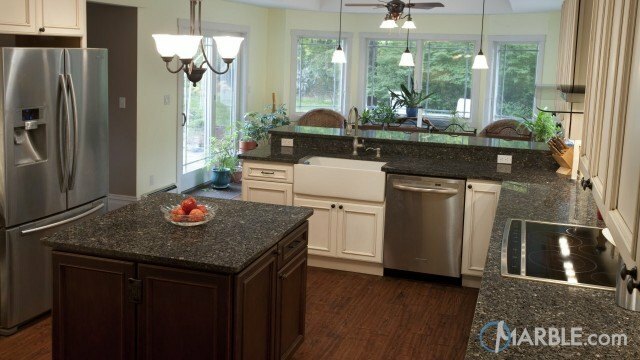 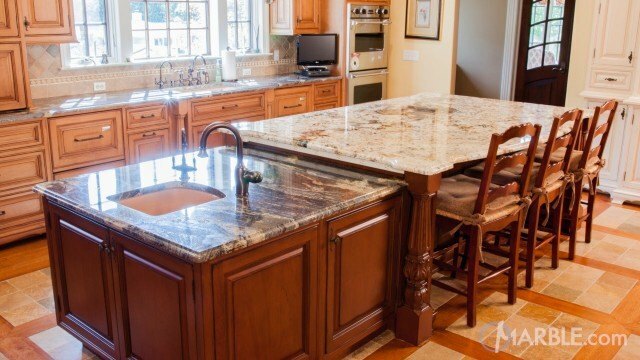 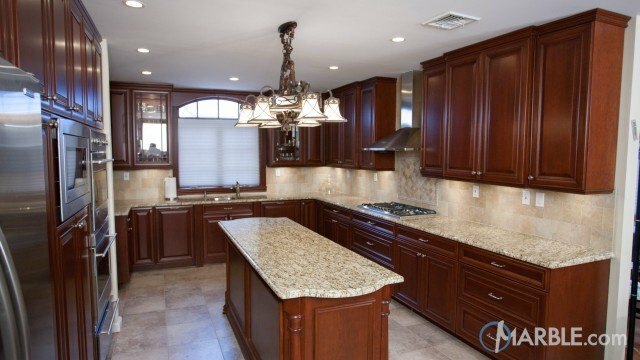 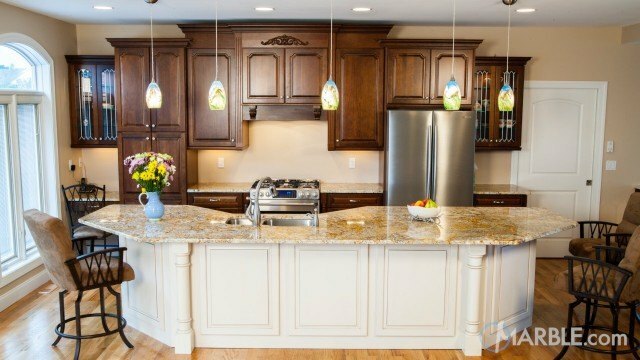 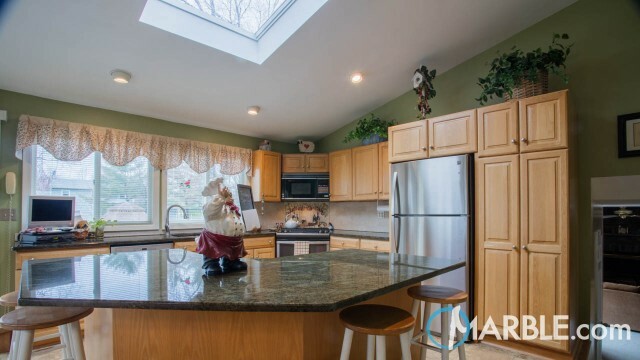 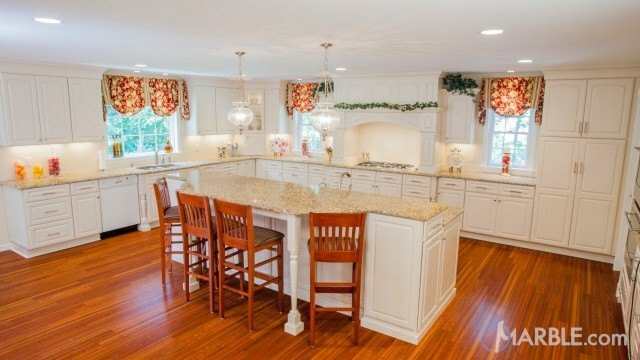 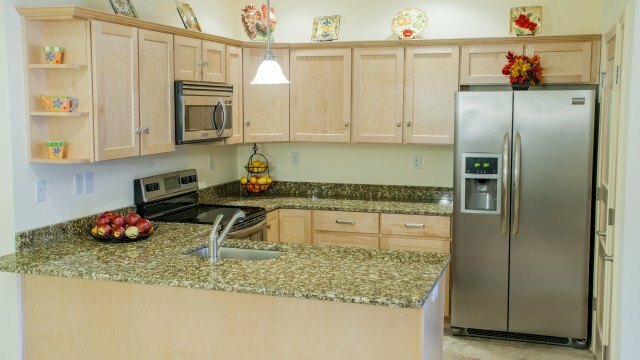 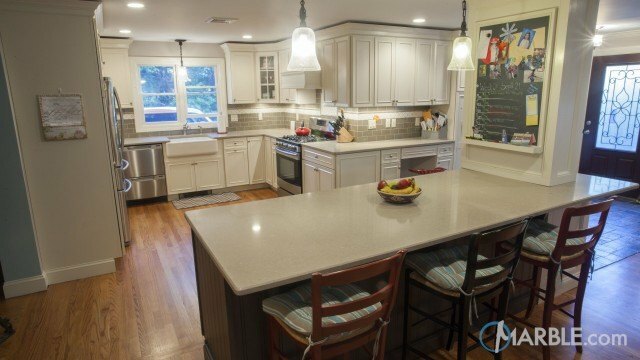 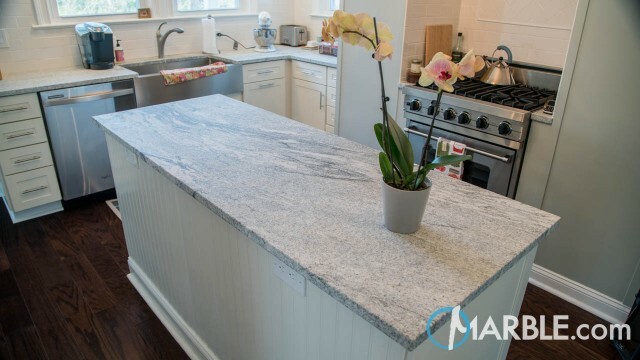 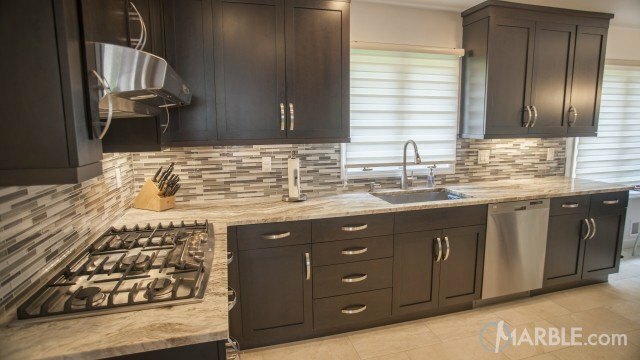 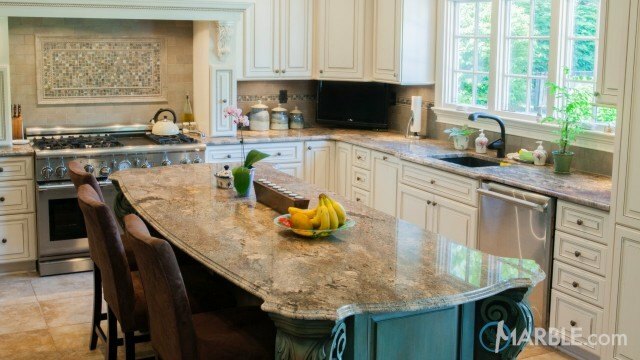 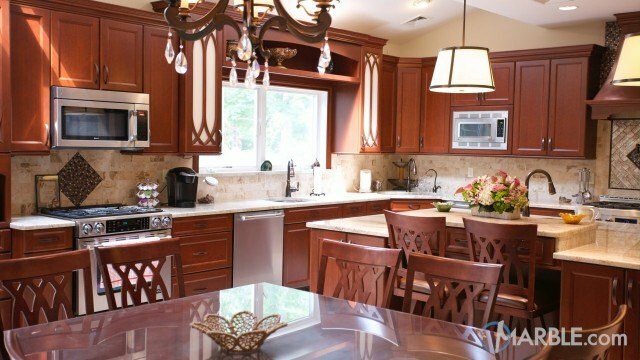 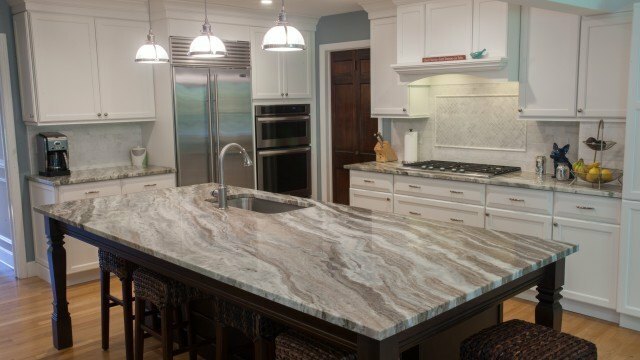 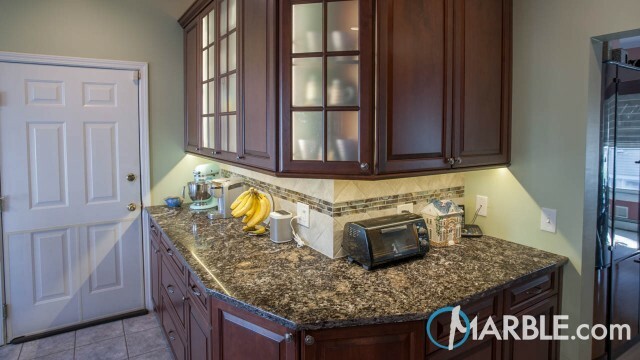 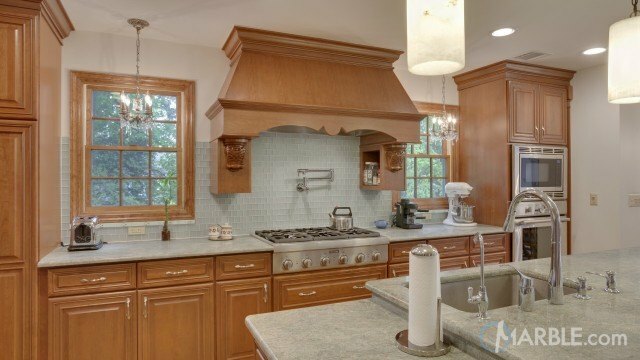 The Biano Antico granite with an Ogee Edge contains light shades of color and sets off the white cabinets perfectly. 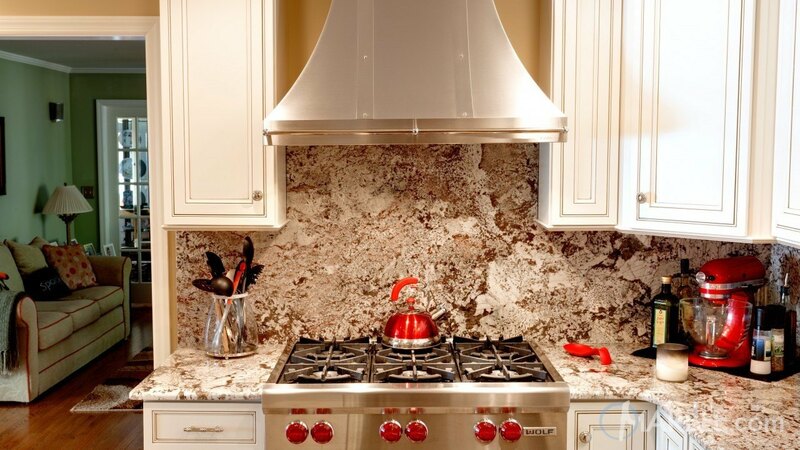 Love the red handles on the cook top! 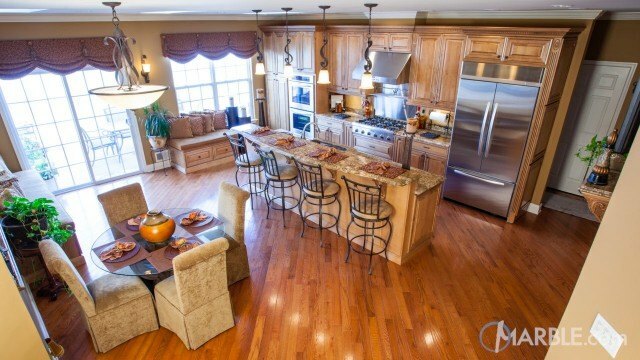 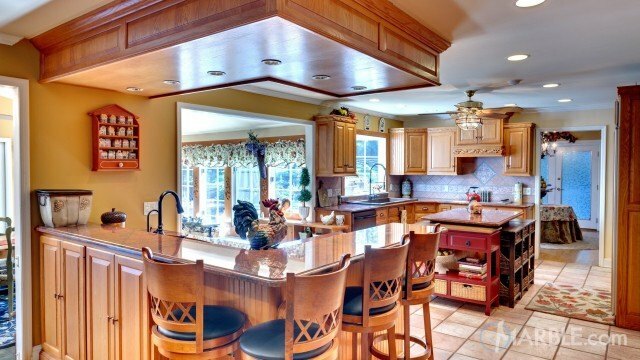 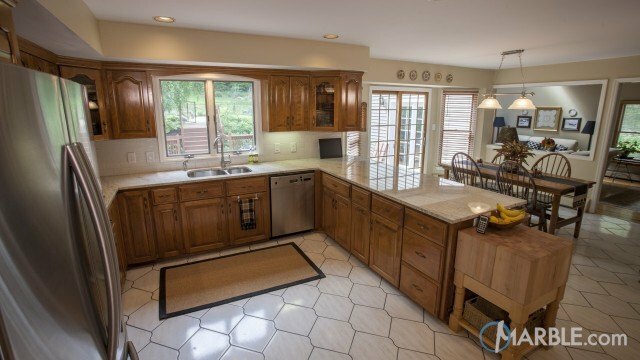 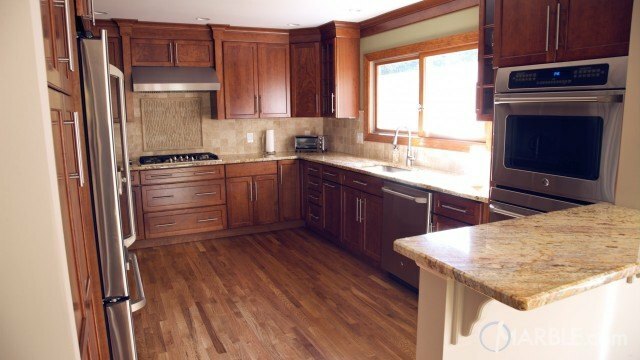 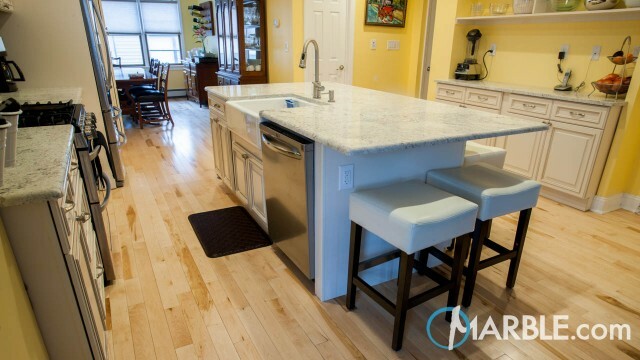 The wooden floor bridges the kitchen and living room together to make everything flow.